The first Phrogs were delivered in June 1964, and entered combat in Vietnam during 1966. 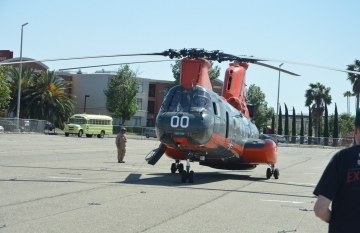 They served throughout the war despite being grounded for a brief time due to mechanical maladies, and over the course of the first true helicopter war, 106 leatherneck CH-46 helicopters were lost to enemy fire. 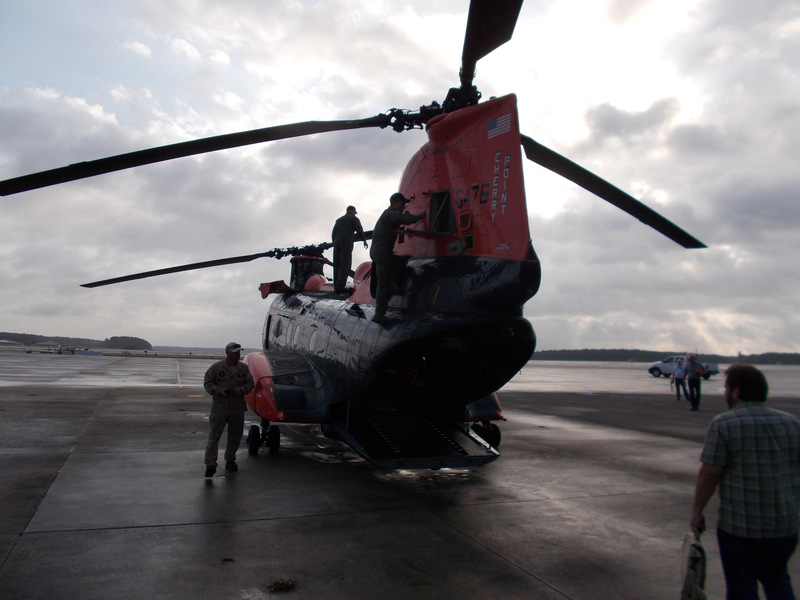 Typically, Marine Expeditionary Units operating on board amphibious assault ships include twelve CH-46s to transport leathernecks ashore. 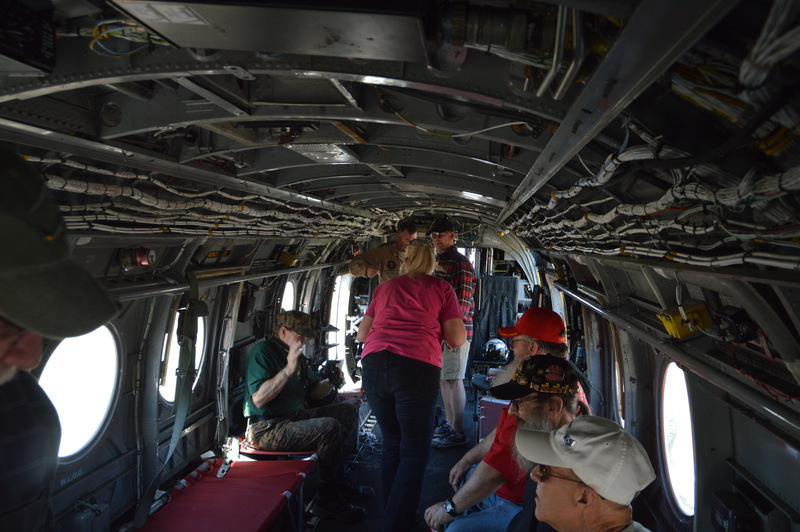 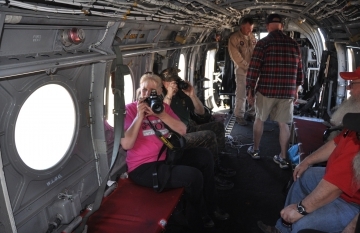 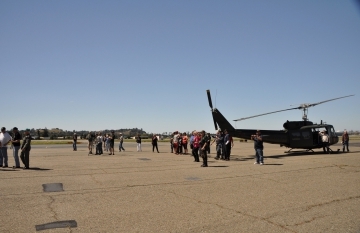 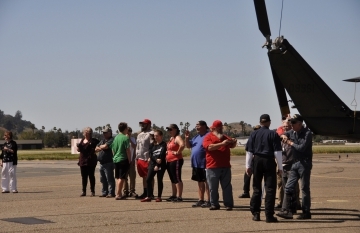 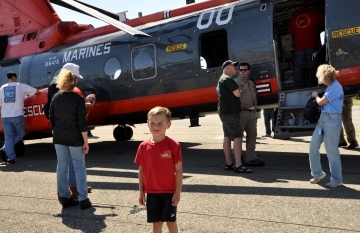 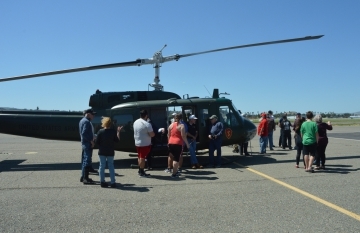 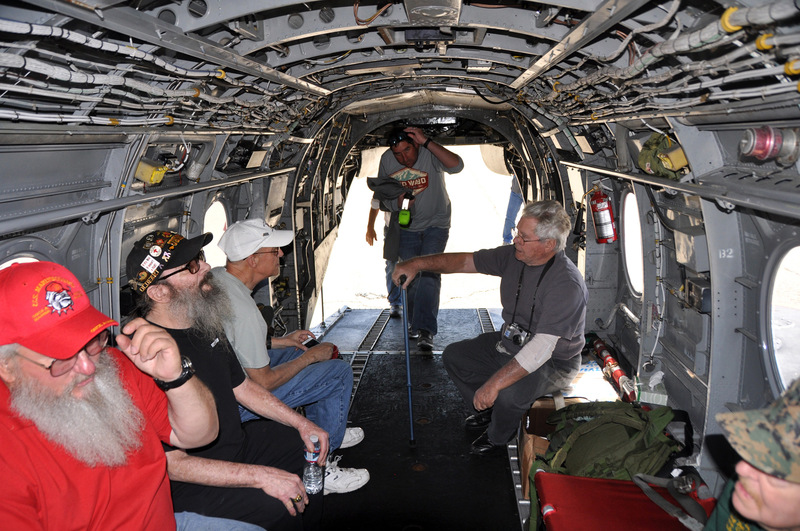 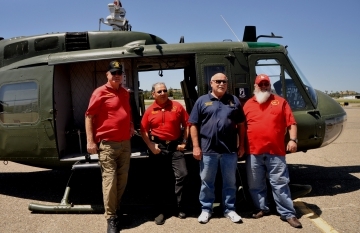 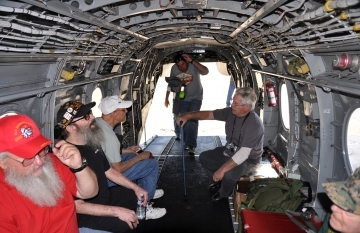 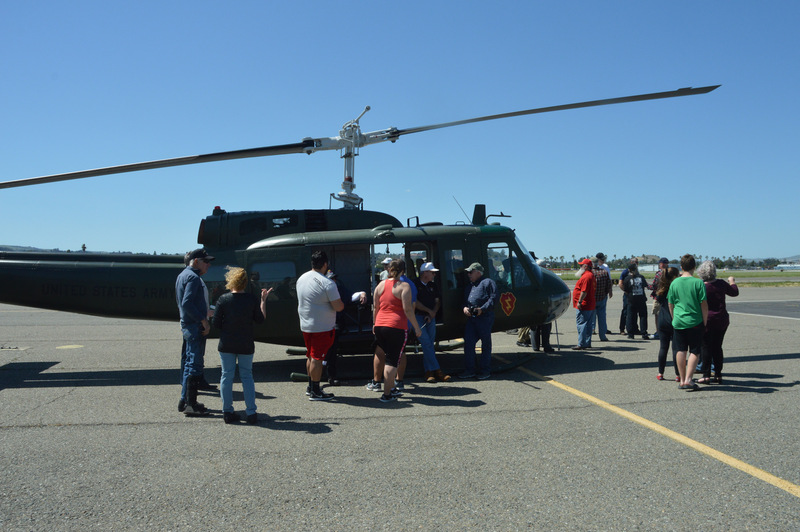 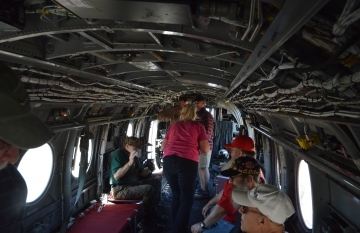 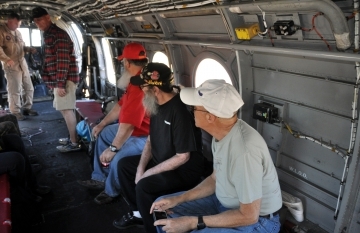 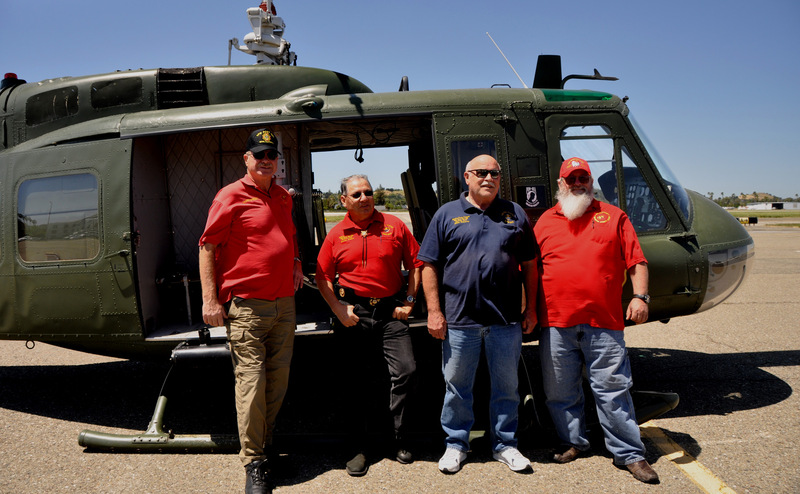 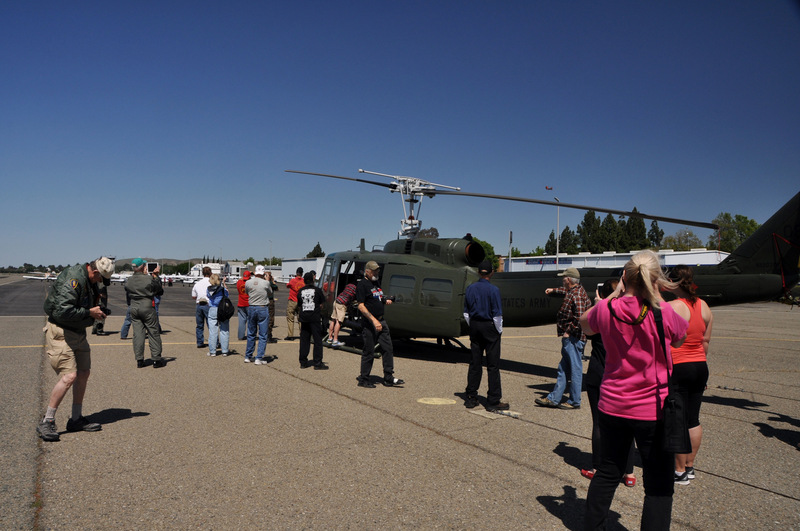 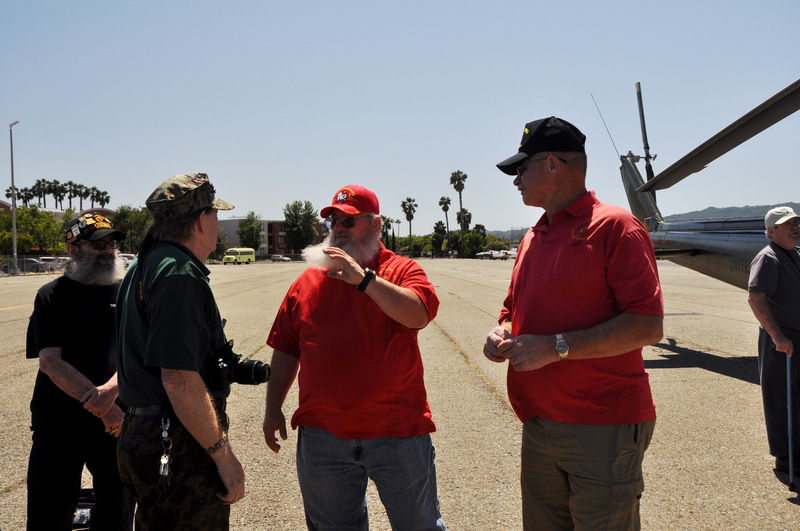 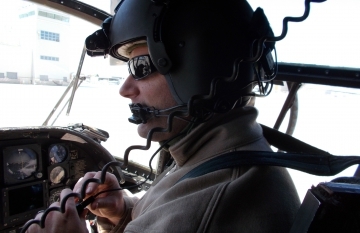 To this end, the Vietnam-era helicopters have responded to a myriad of crises over the course of the past three decades, including service in Operations Desert Storm, Enduring Freedom and Iraqi Freedom. 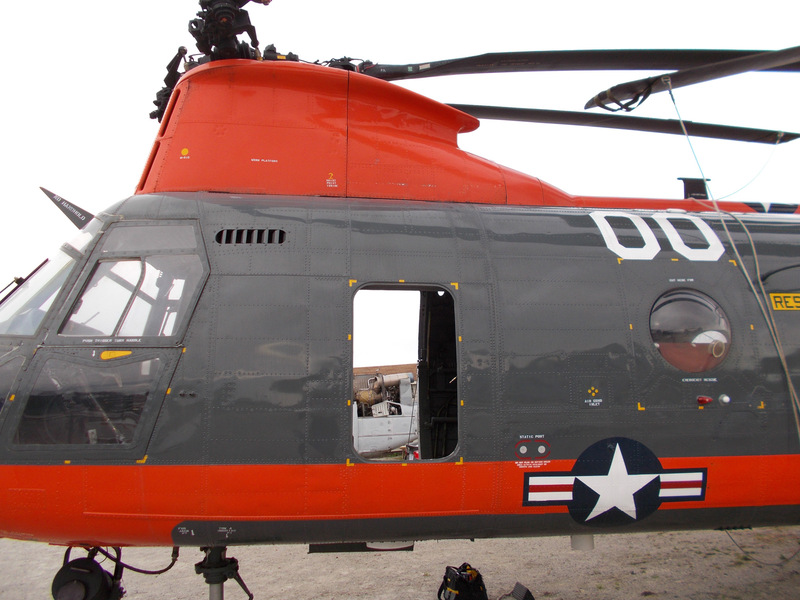 Historically it was primarily used to provide all-weather day or night assault transport of combat troops, supplies and equipment. 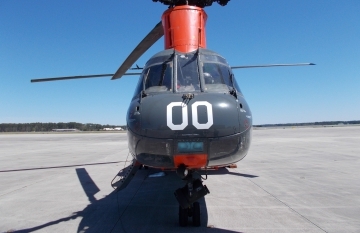 Affectionately named the “Phrog”, due to its squat, originally green, fuselage and ability to hop into the air from remote clearings, its longevity and reputation for reliability led to mantras such as “phrogs phorever” and “never trust a helicopter under 30”. CH-46s transported combat troops, evacuated wounded, supplied forward arming and refueling points (FARP), performed vertical replenishment, search and rescue, recovered downed aircraft and crews and other tasks. 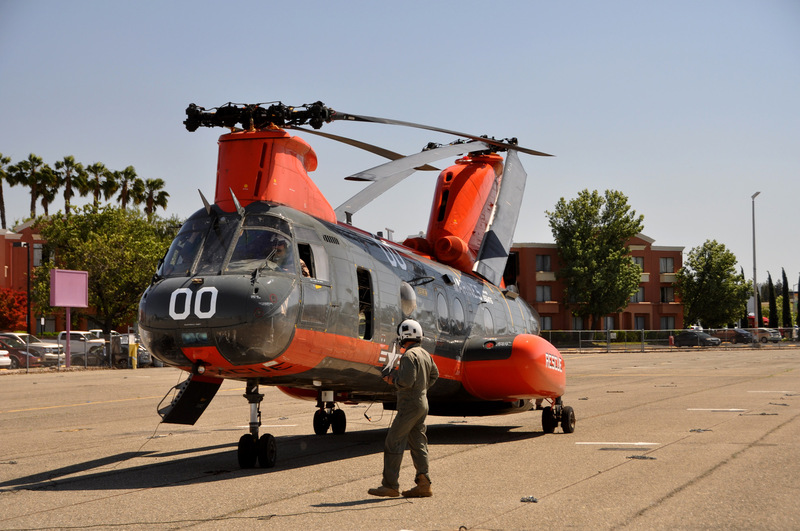 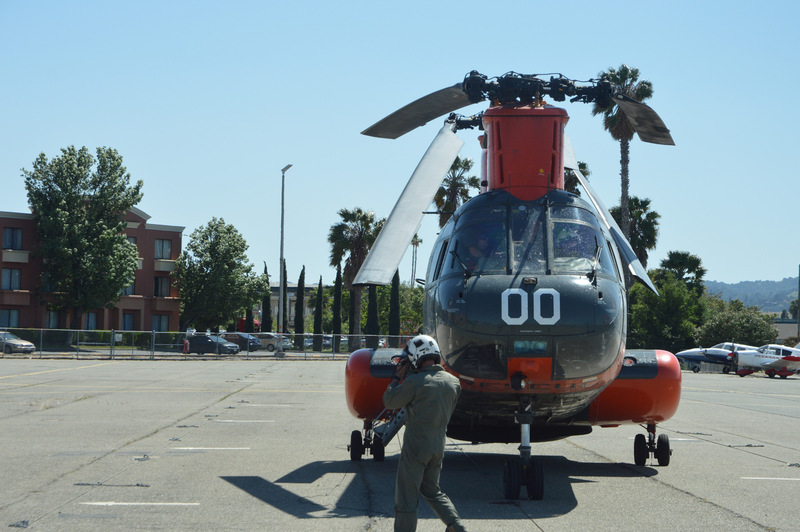 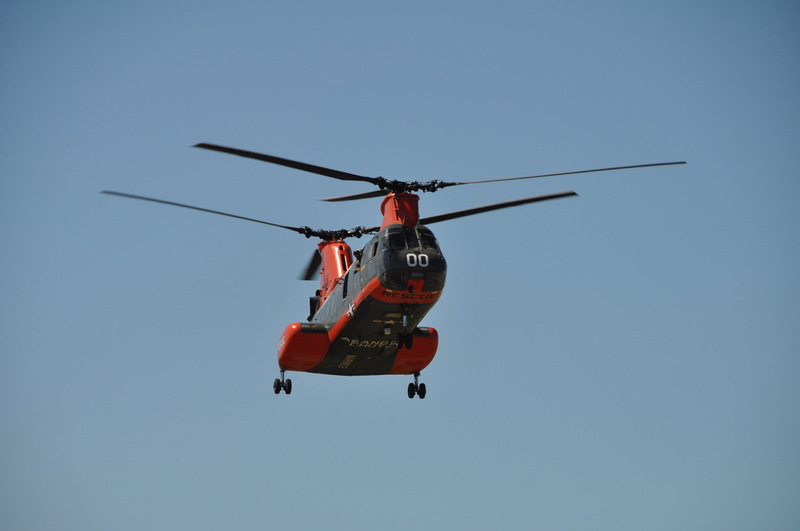 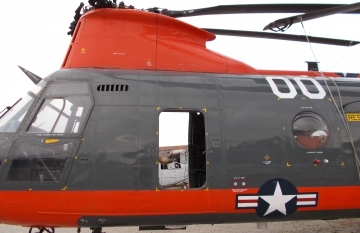 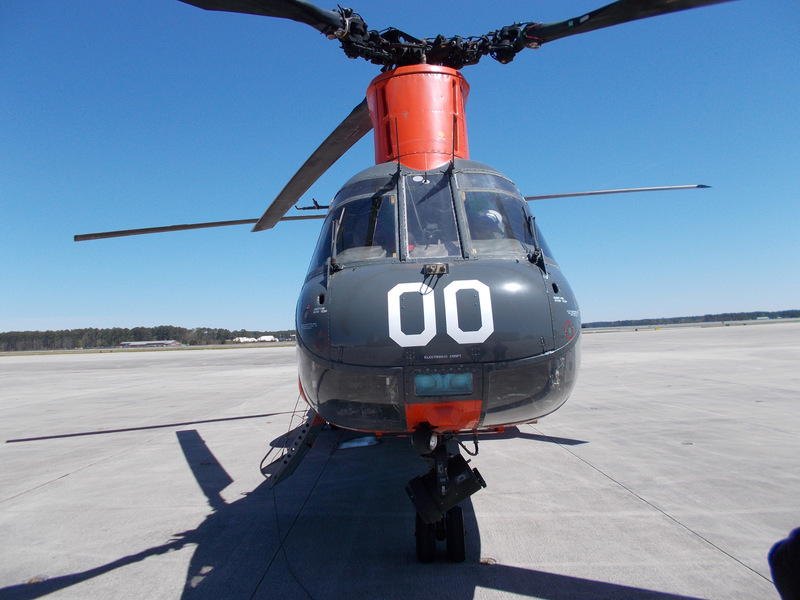 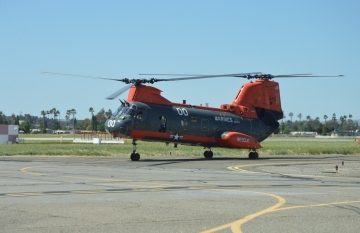 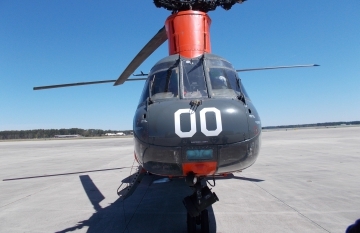 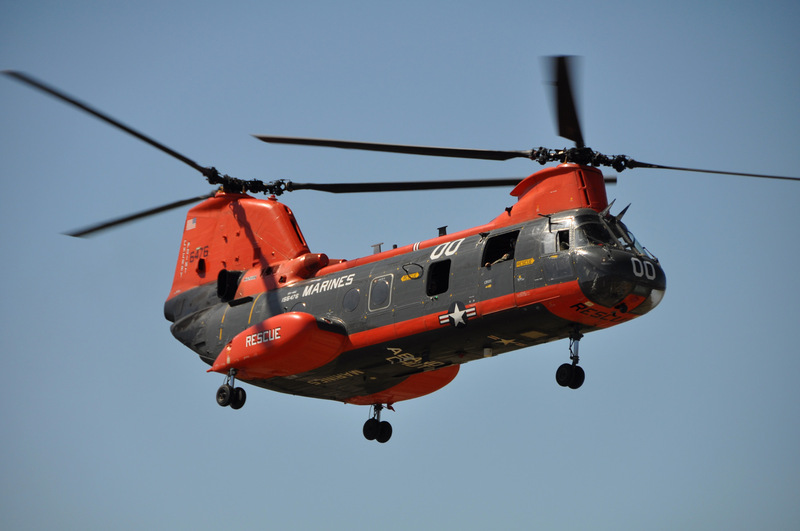 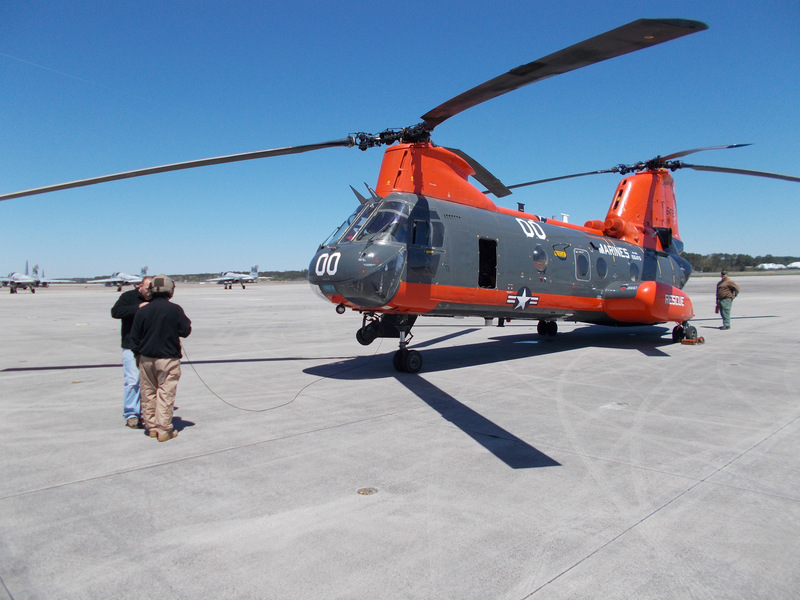 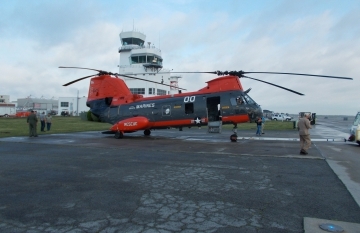 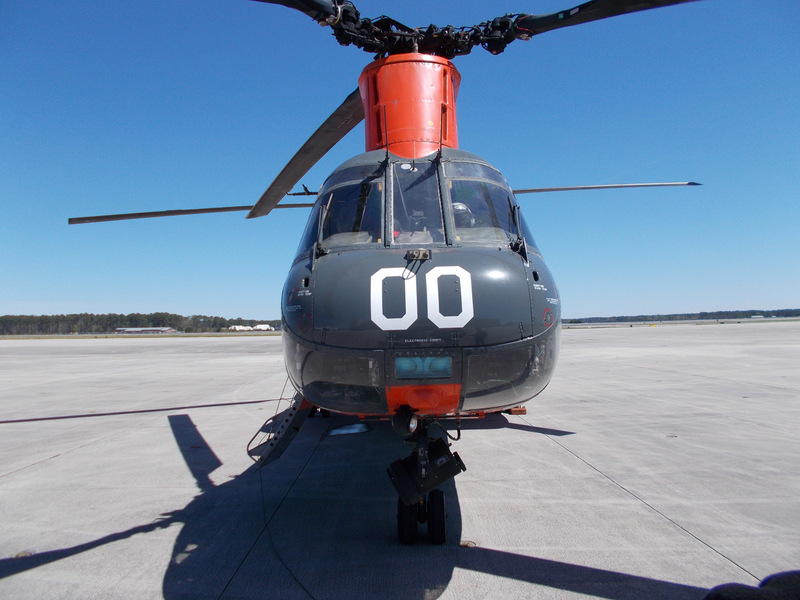 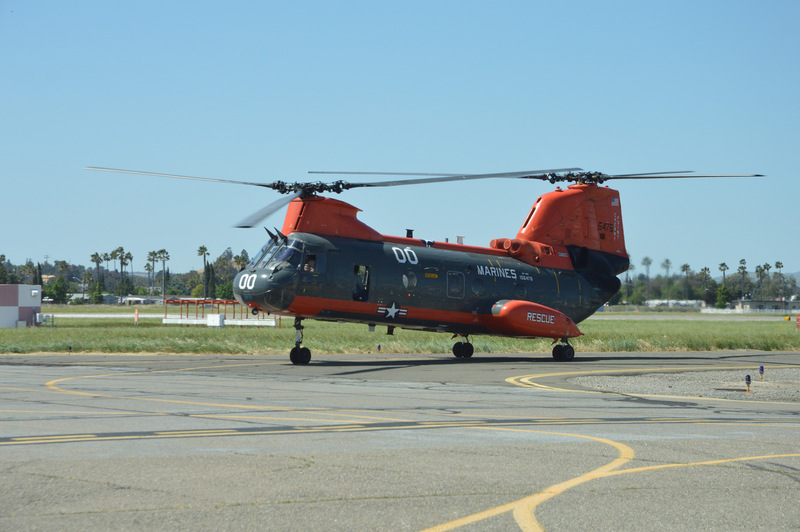 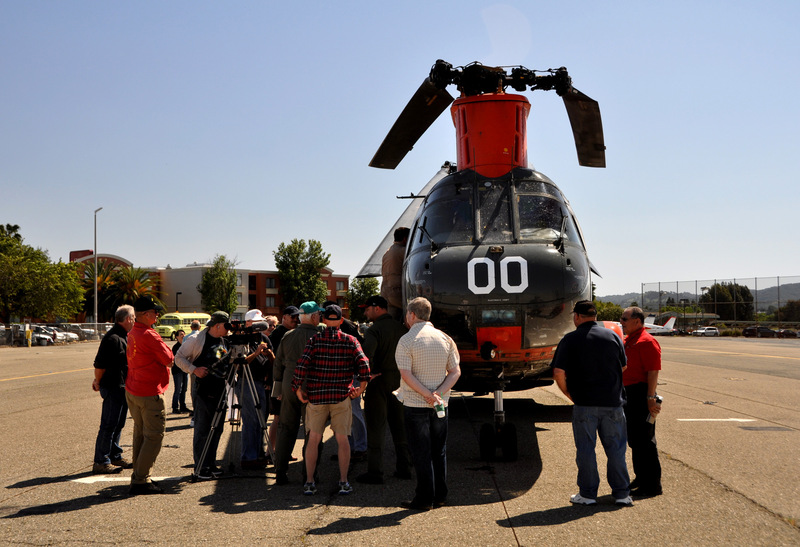 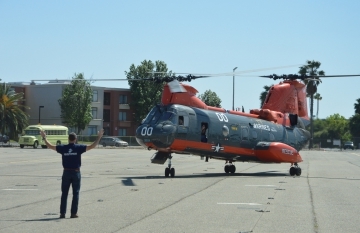 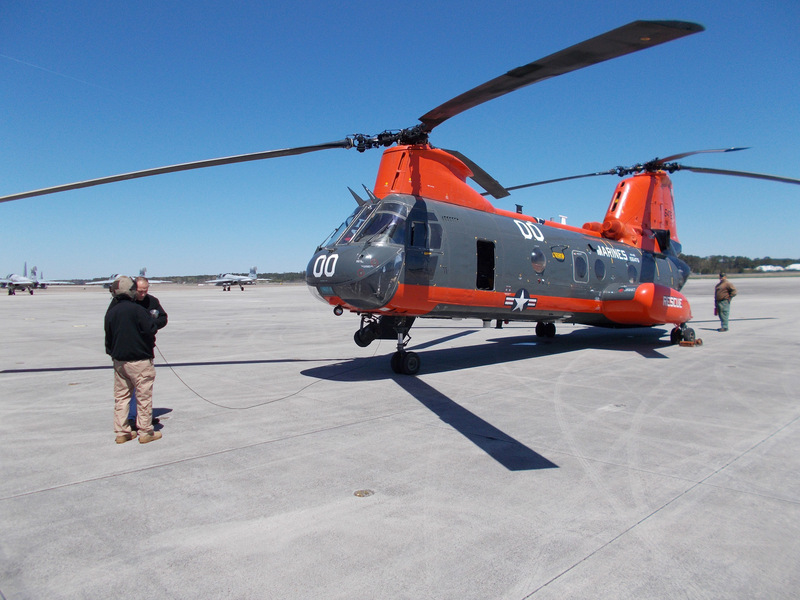 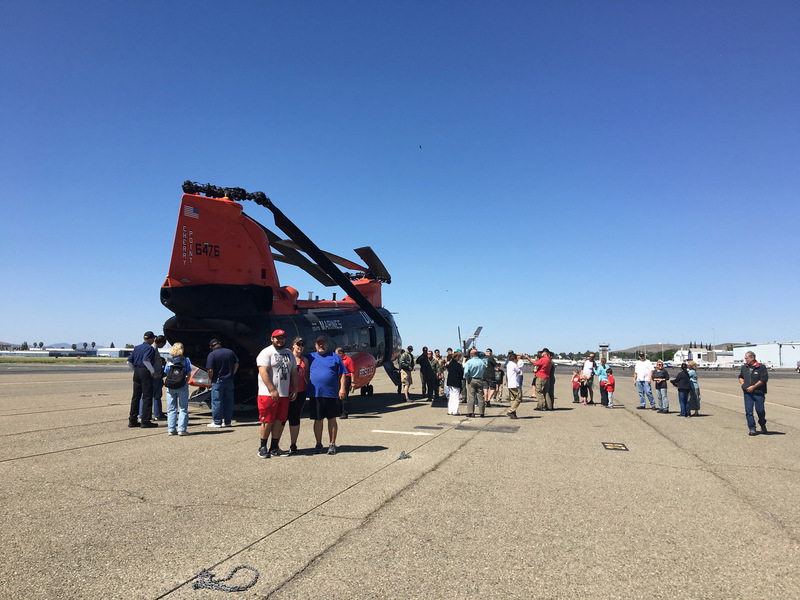 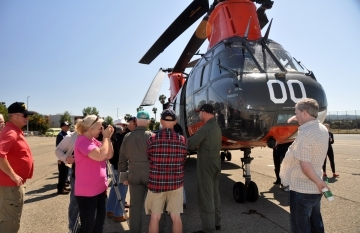 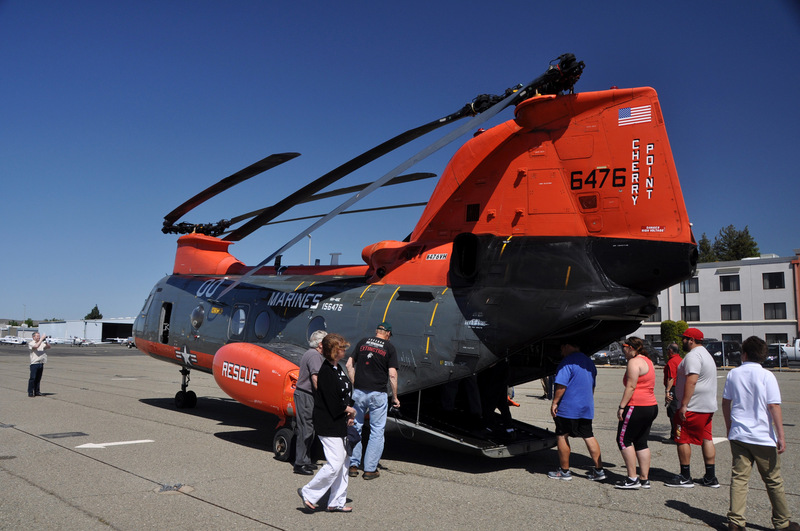 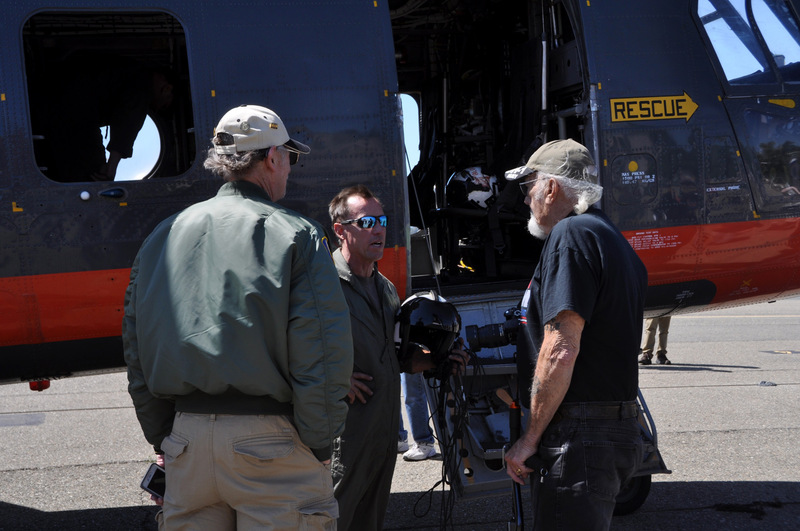 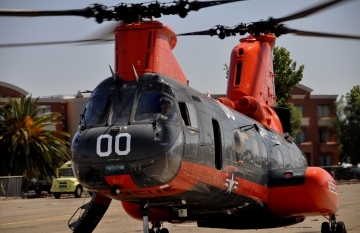 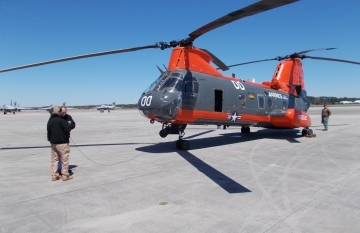 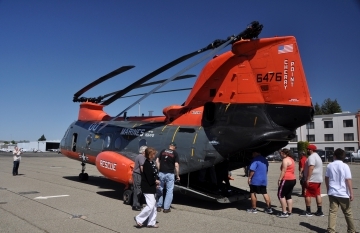 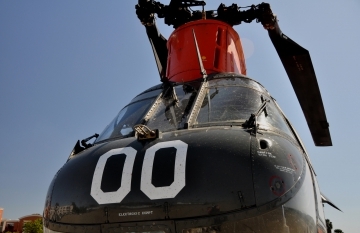 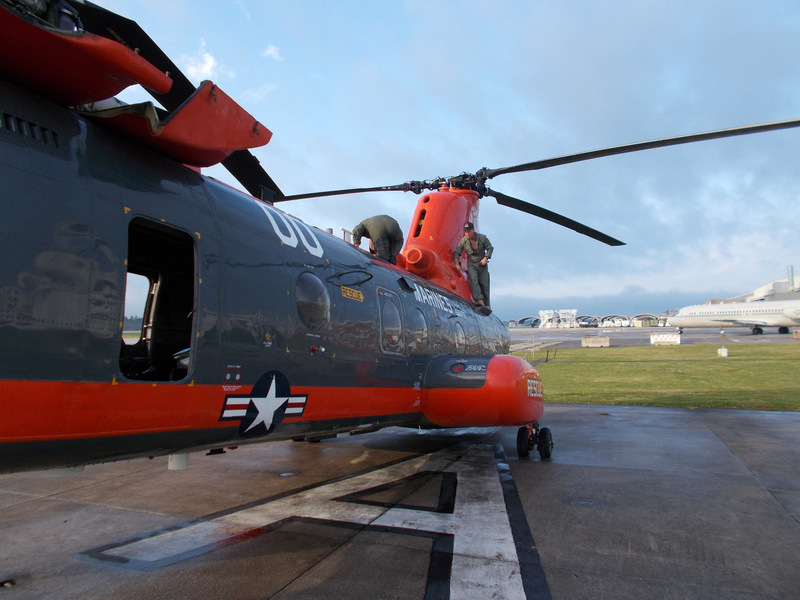 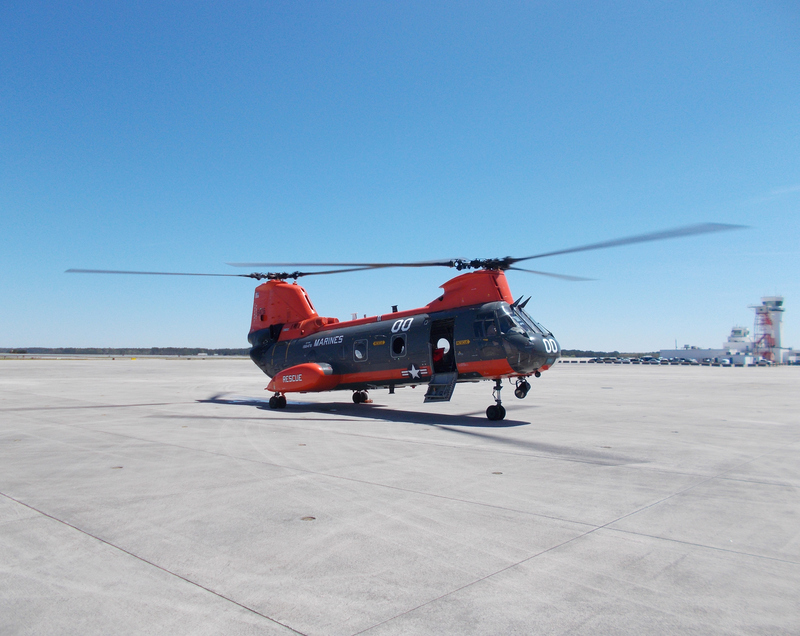 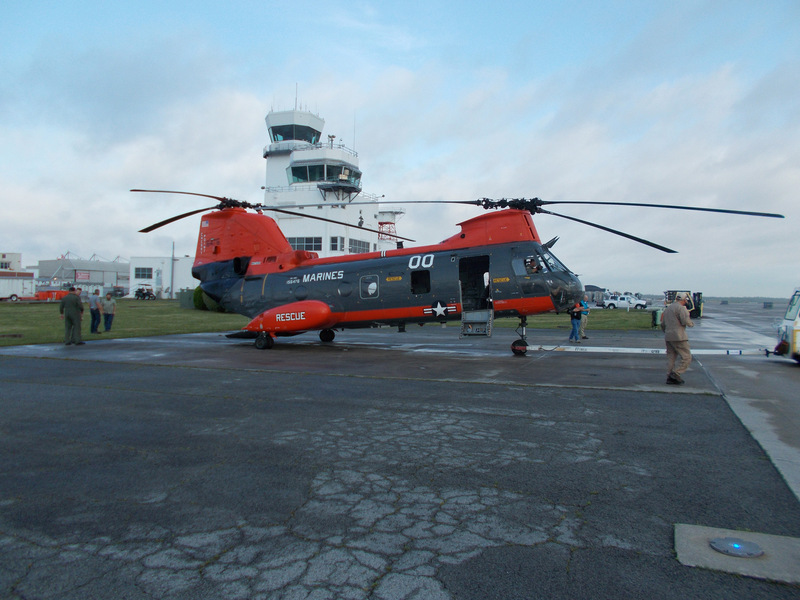 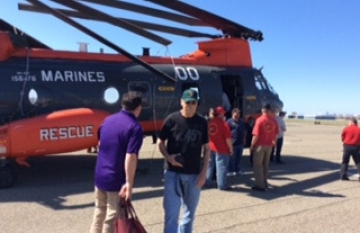 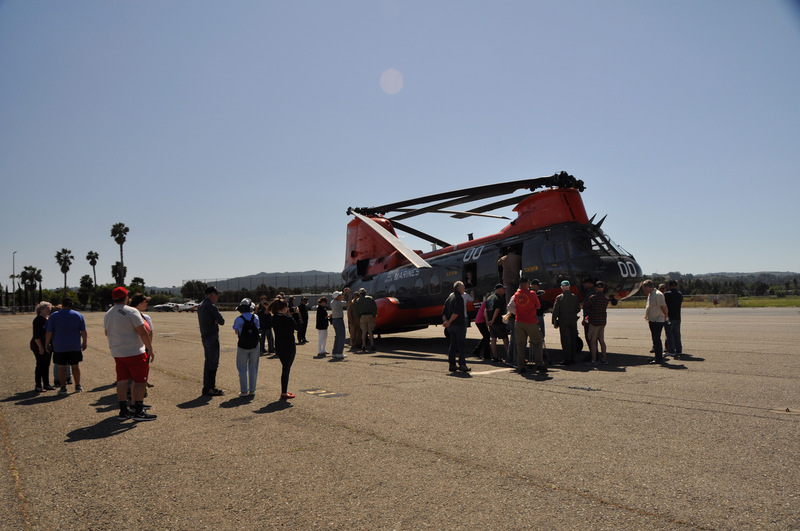 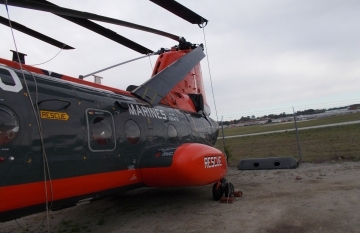 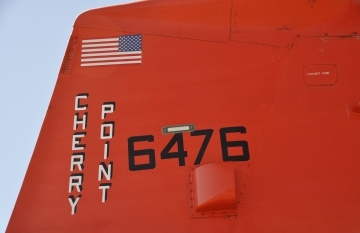 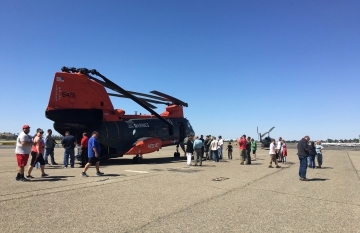 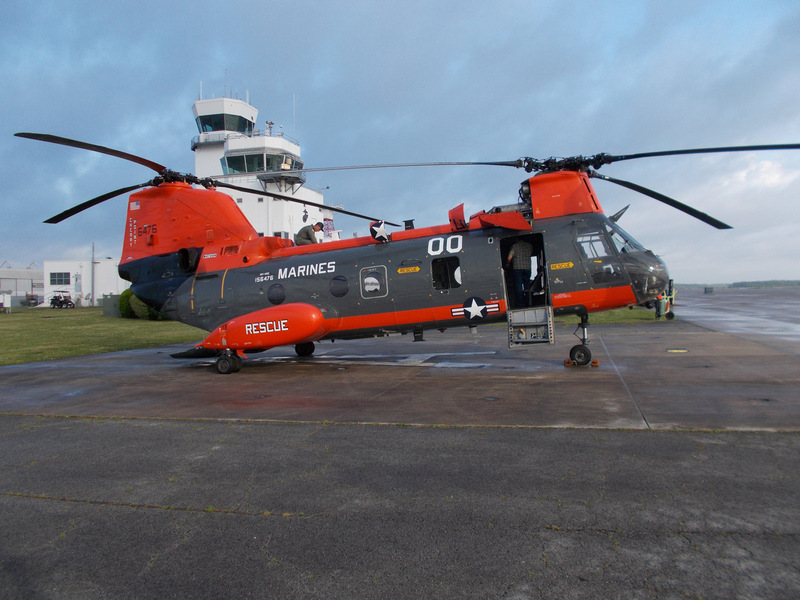 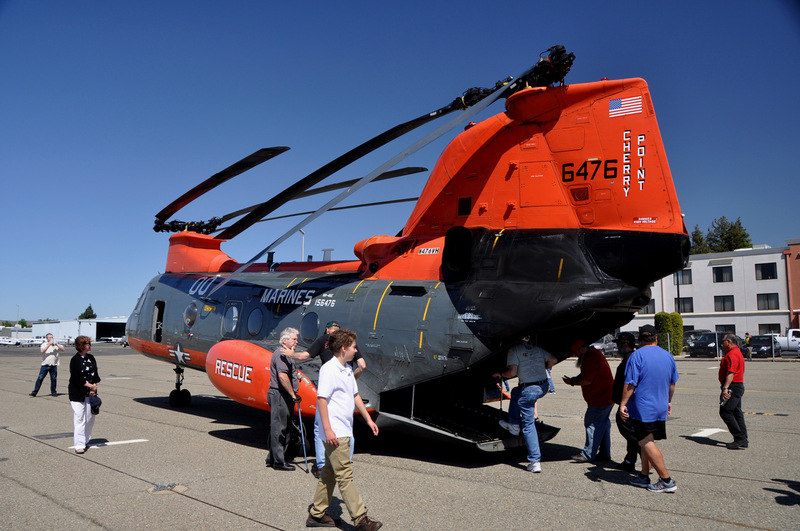 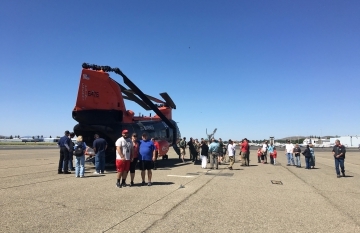 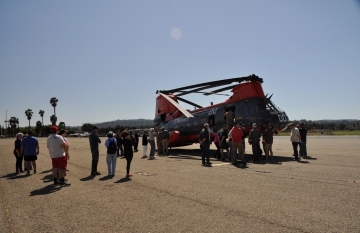 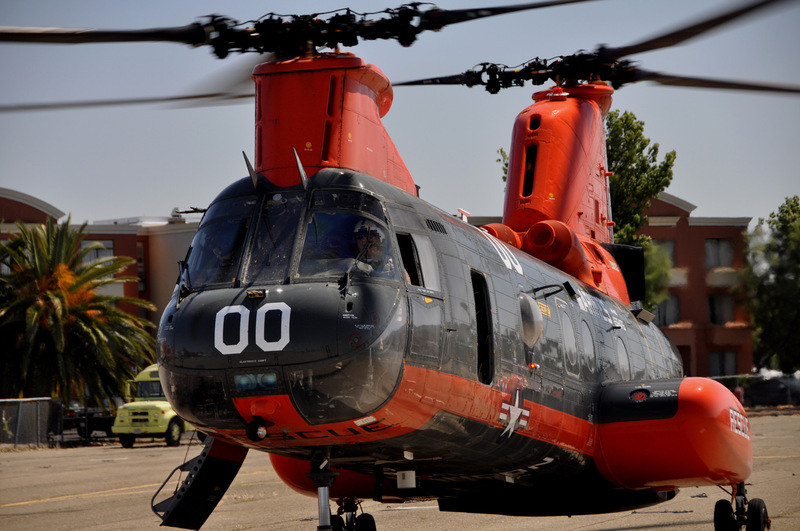 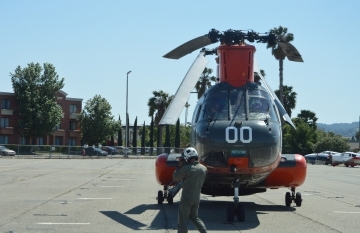 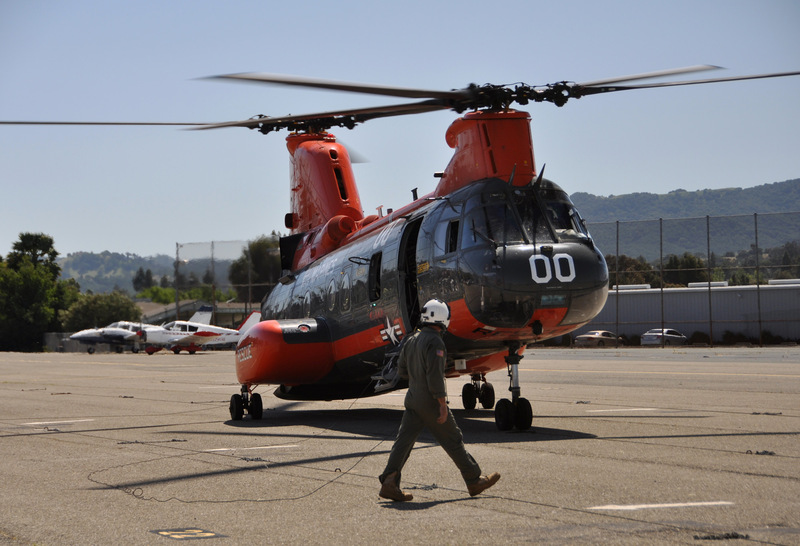 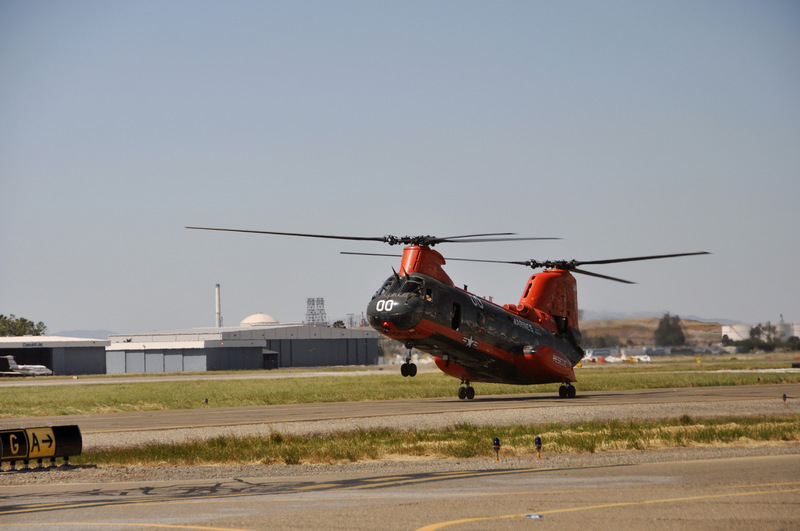 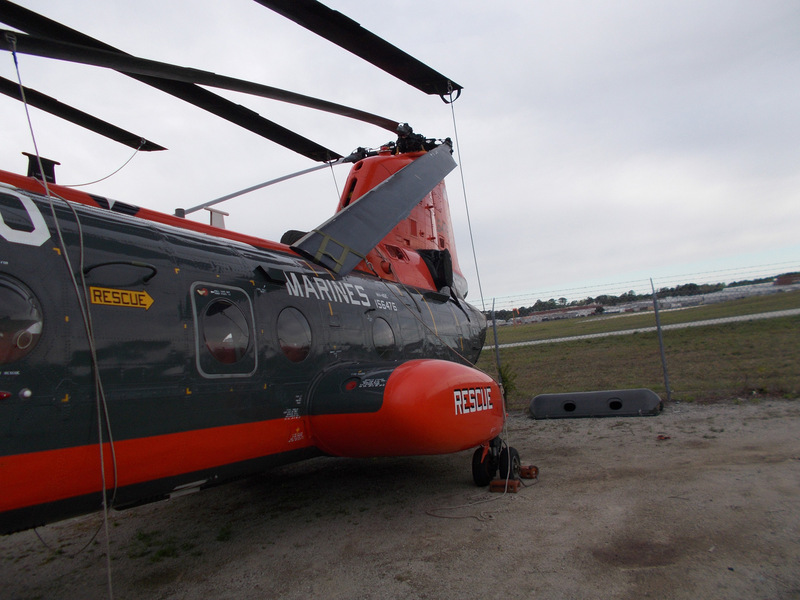 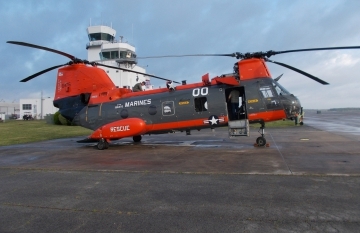 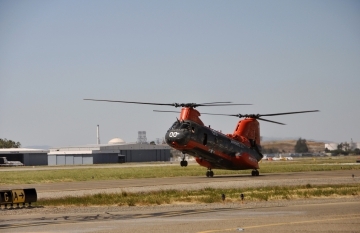 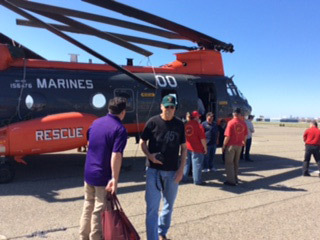 This helicopter began its life as a military coded CH-46 and was later converted to a Search and Rescue (SAR) ship and assigned to the “Pedro” program—a salute to the callsign used by HH-43 rescue detachments deployed to Vietnam and elsewhere in Southeast Asia during the Vietnam War. 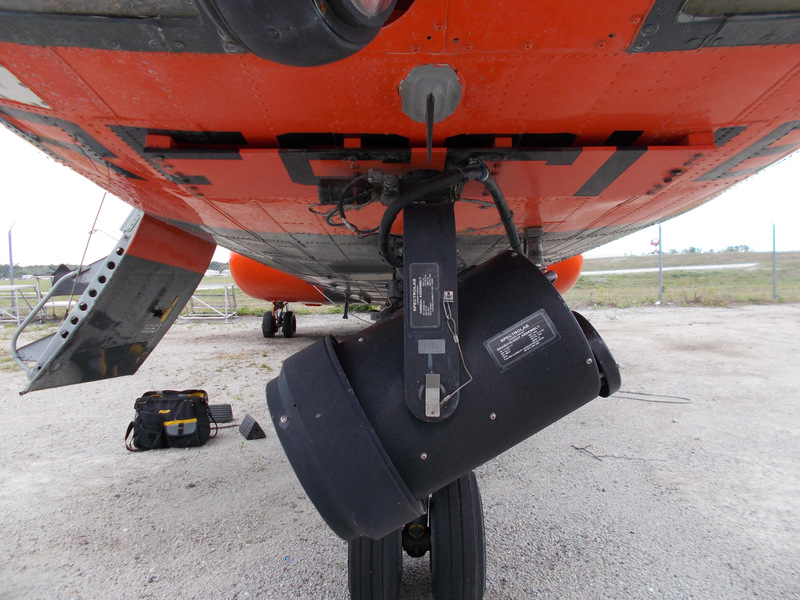 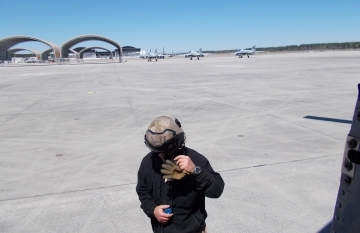 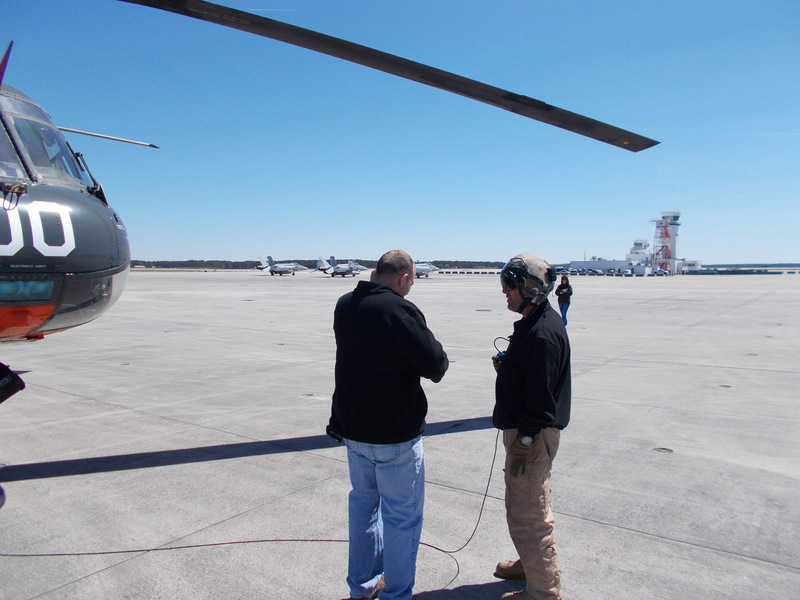 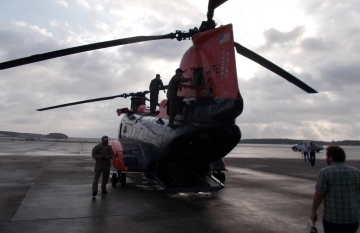 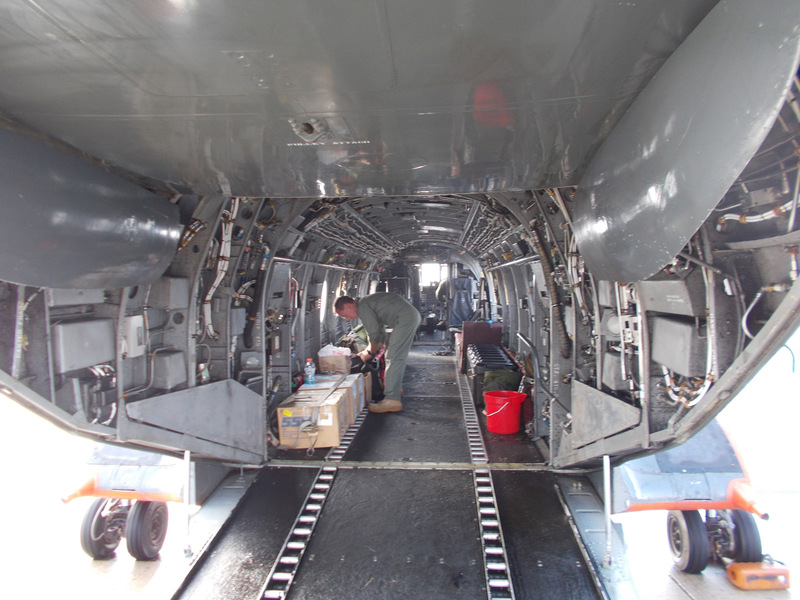 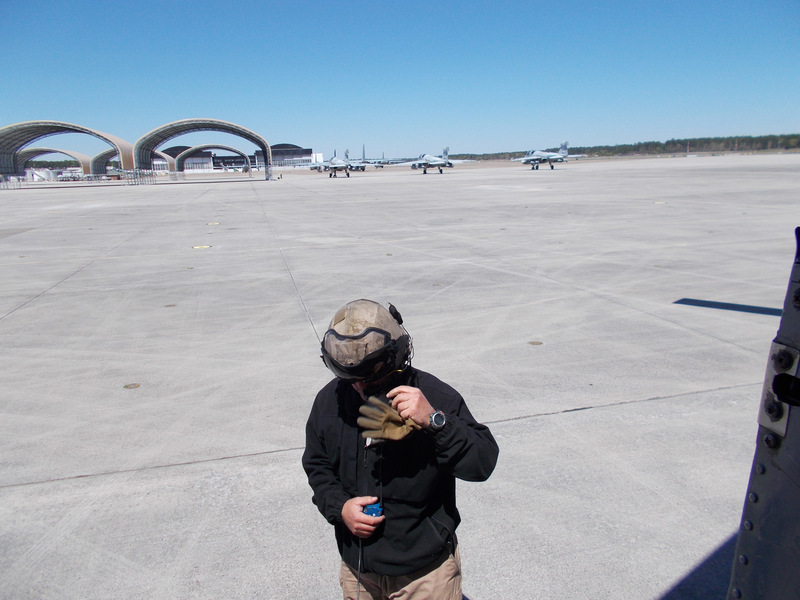 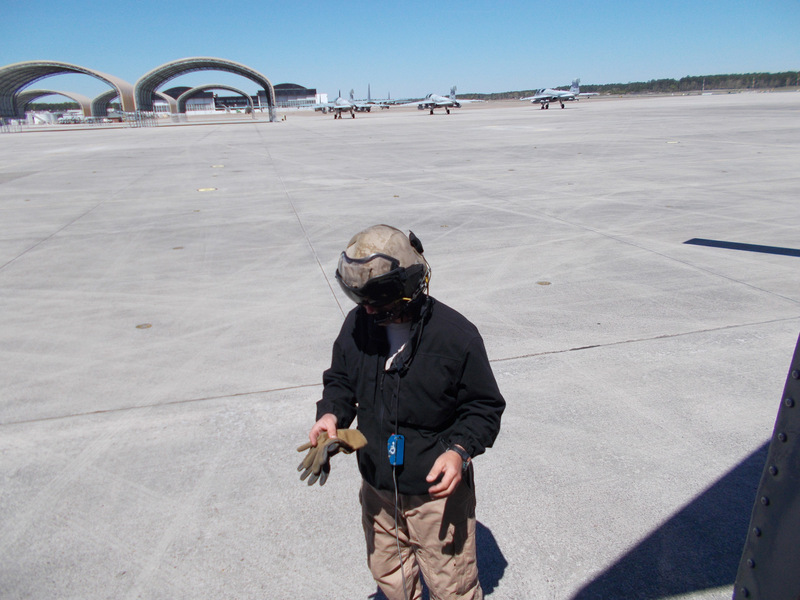 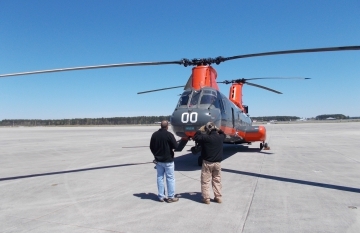 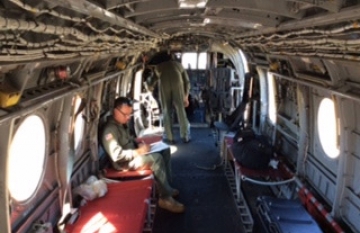 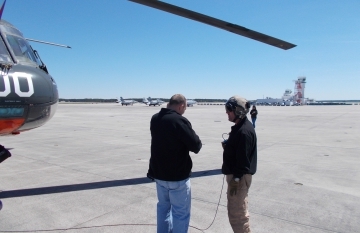 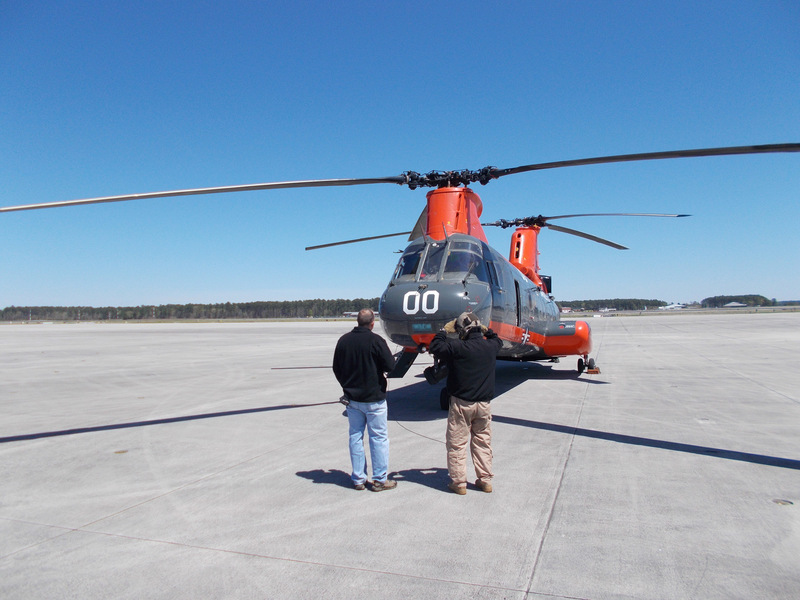 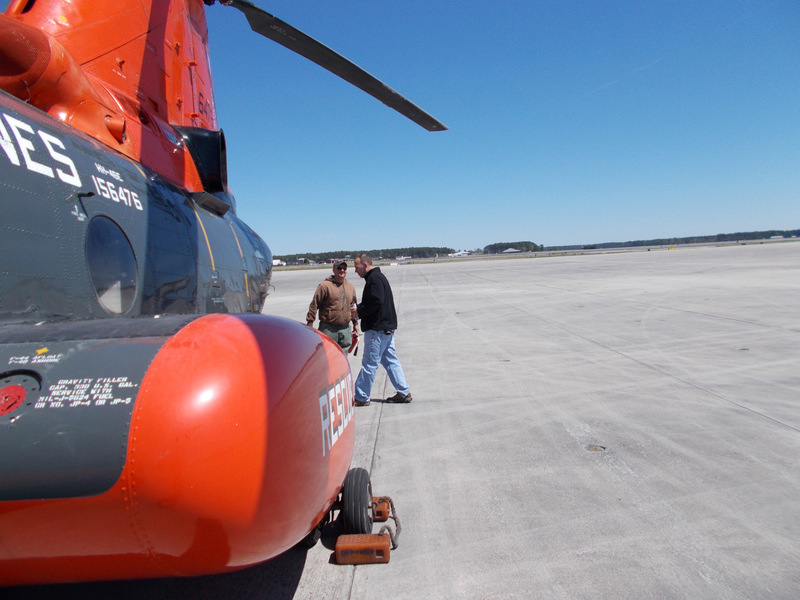 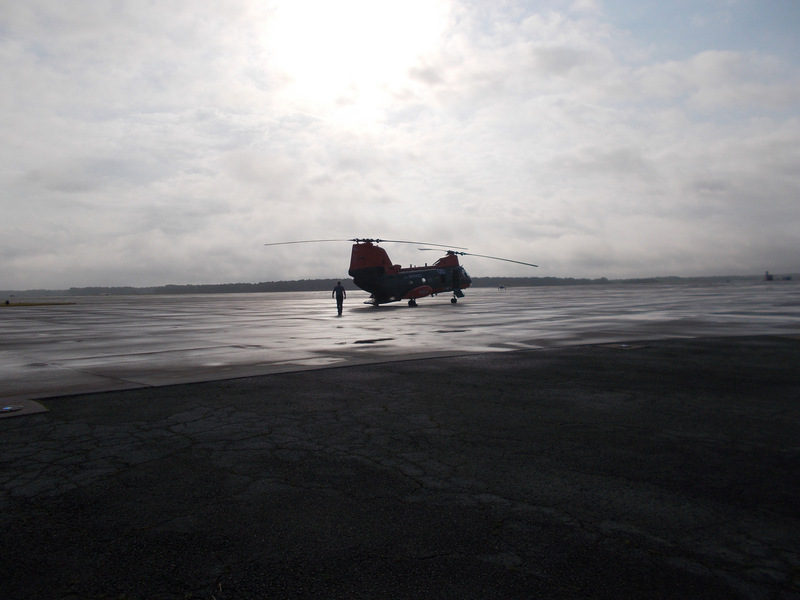 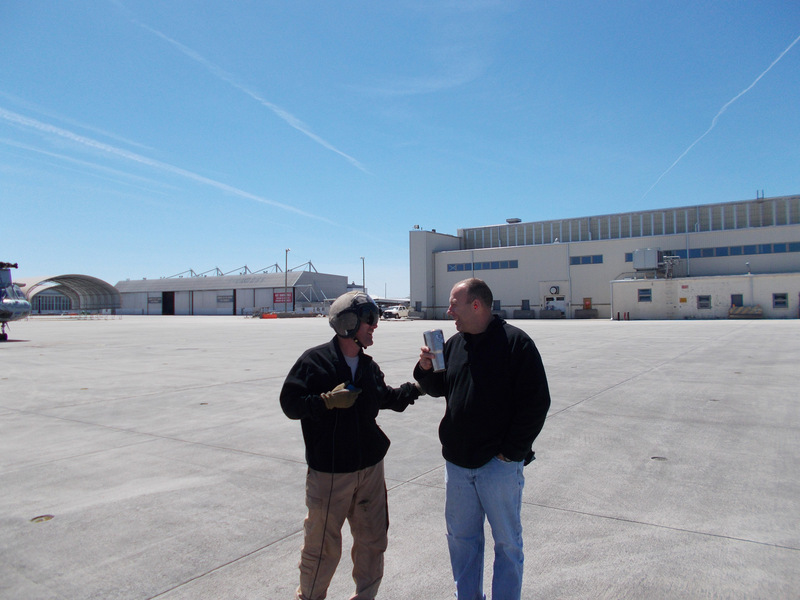 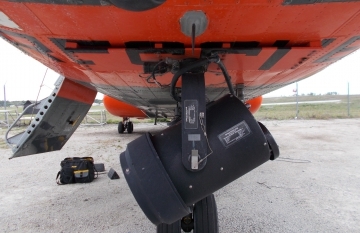 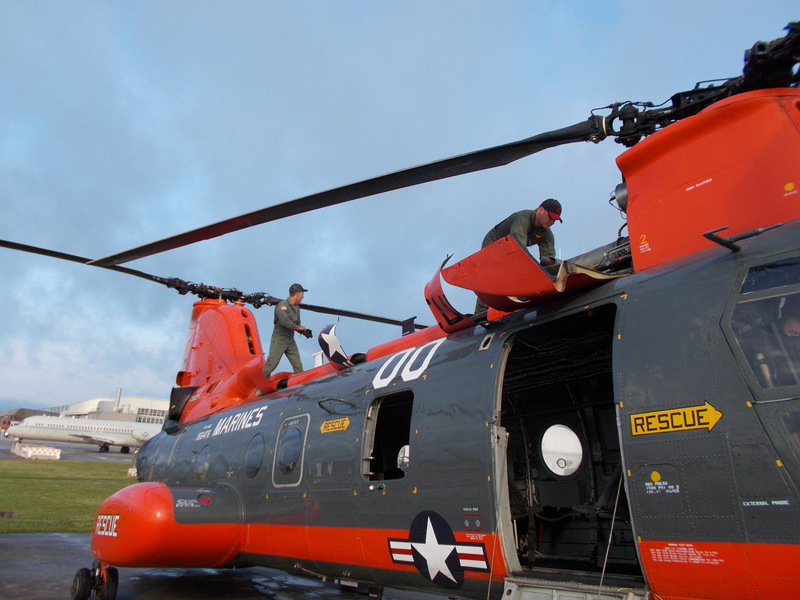 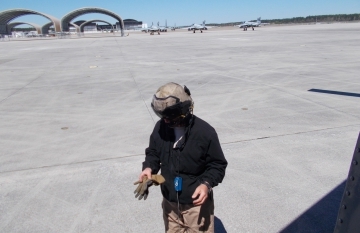 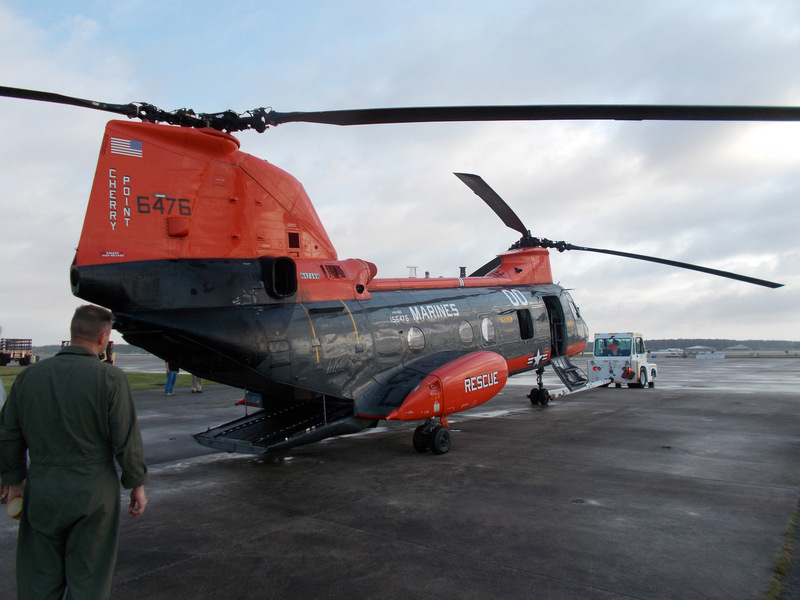 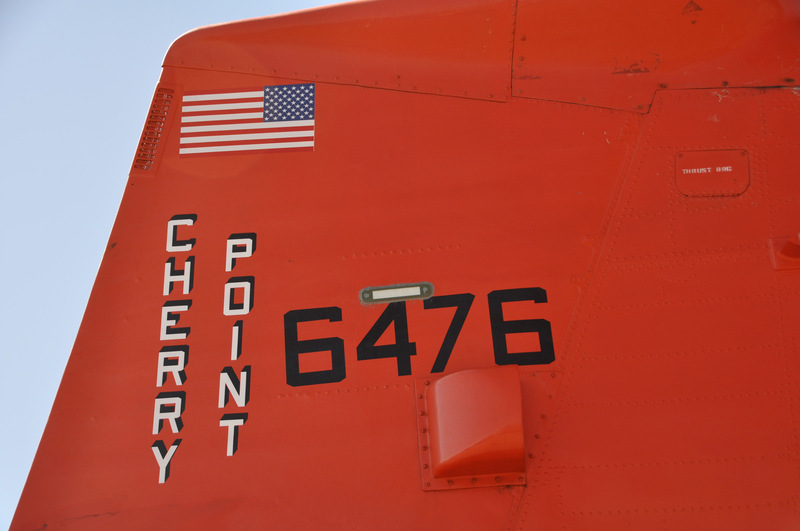 The Pedro unit performed operations from their Cherry Point, North Carolina base. 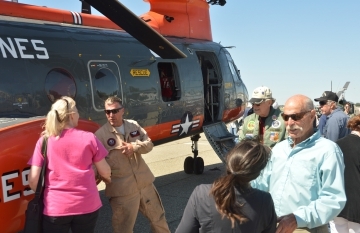 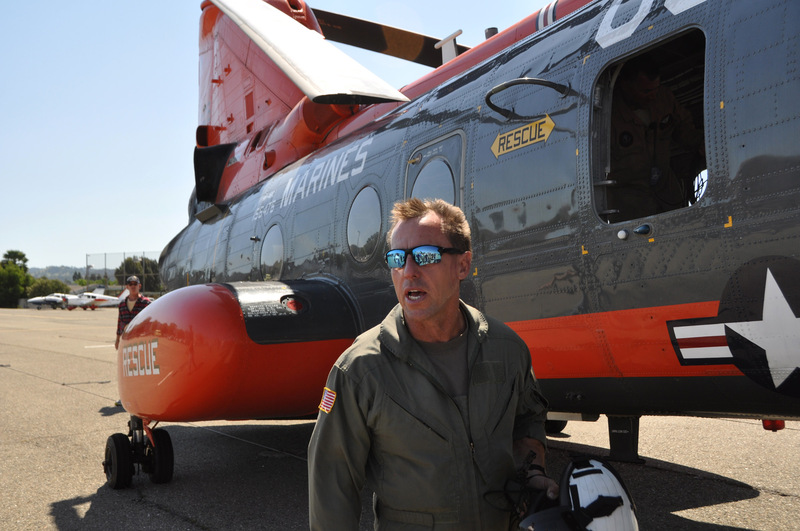 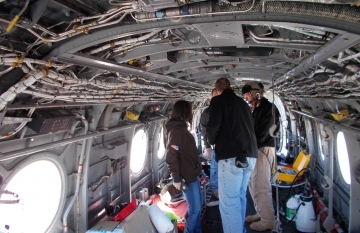 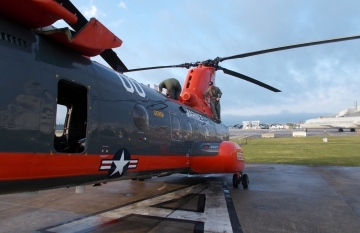 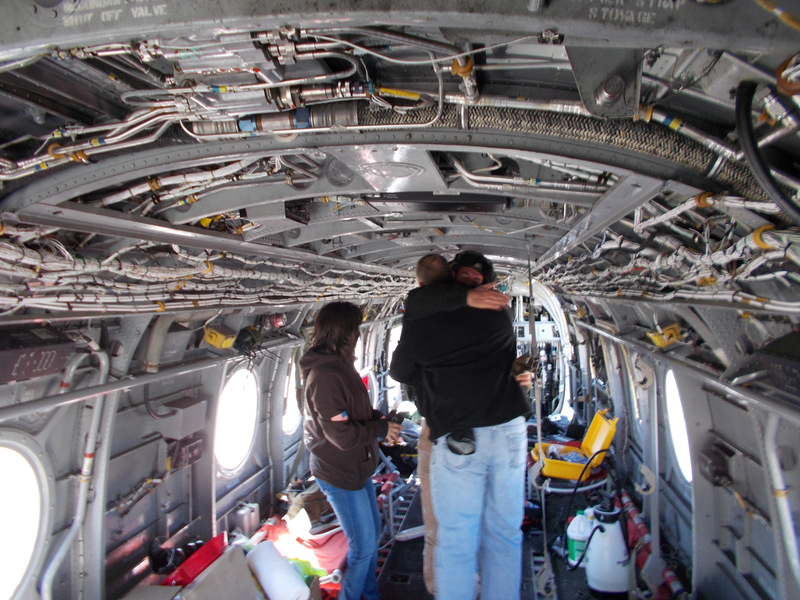 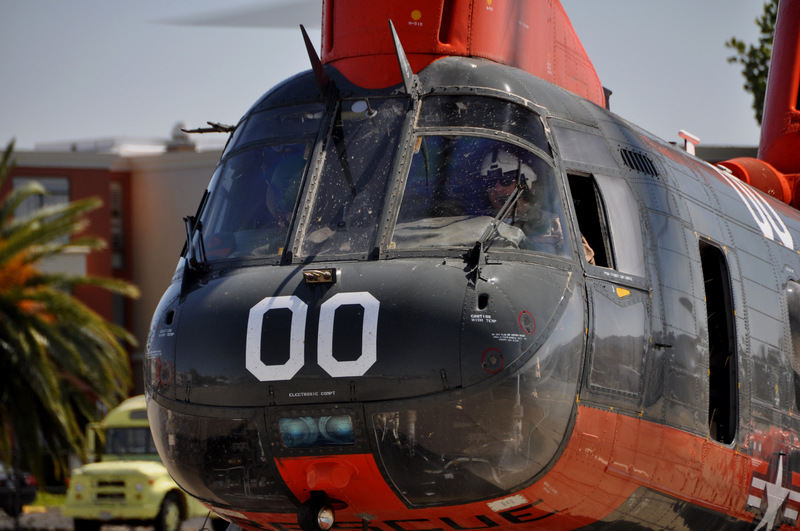 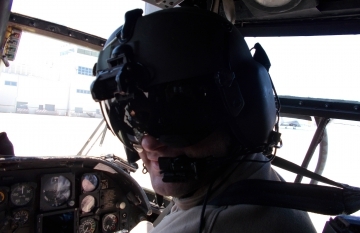 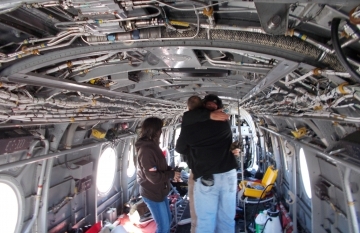 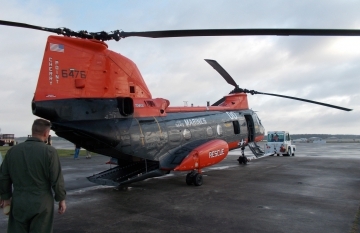 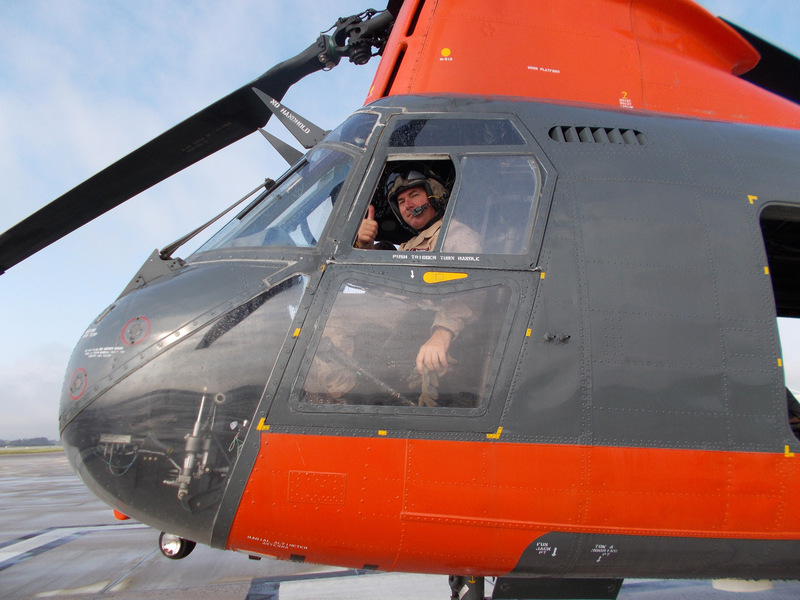 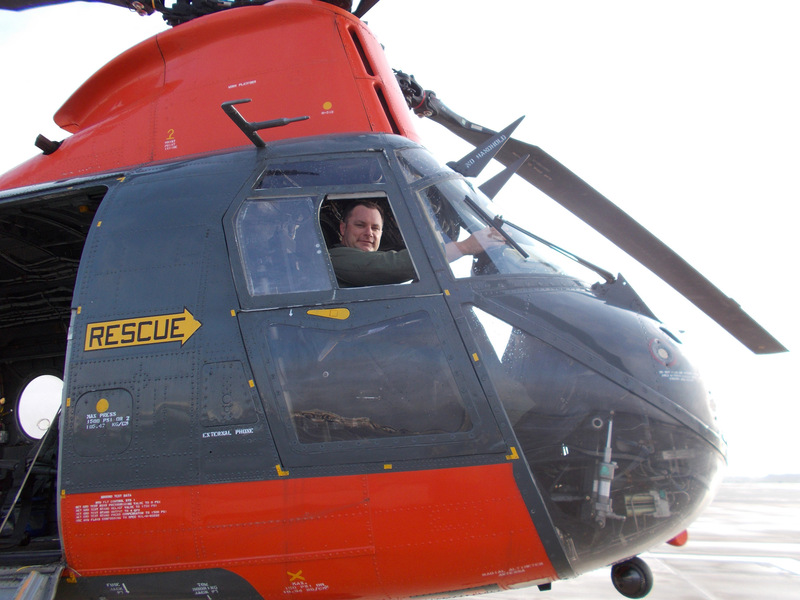 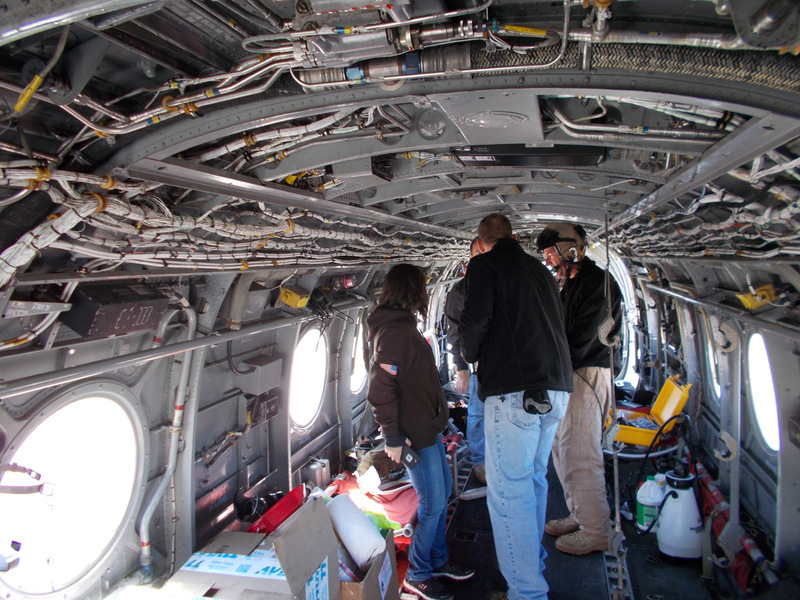 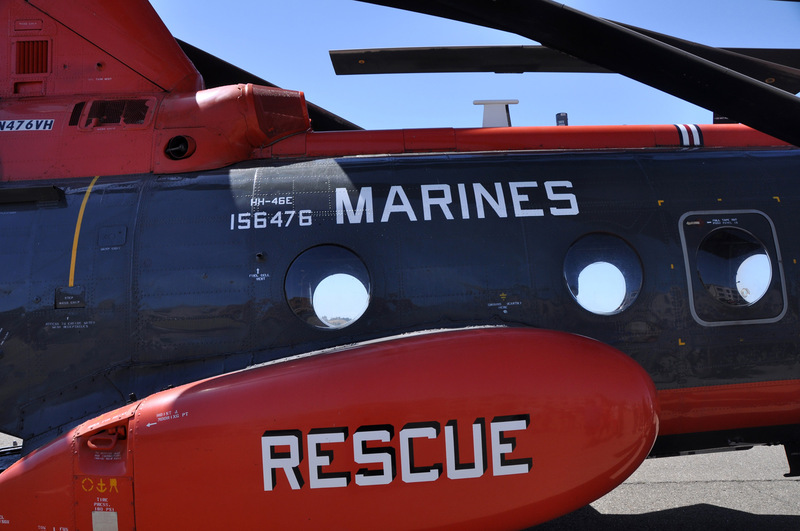 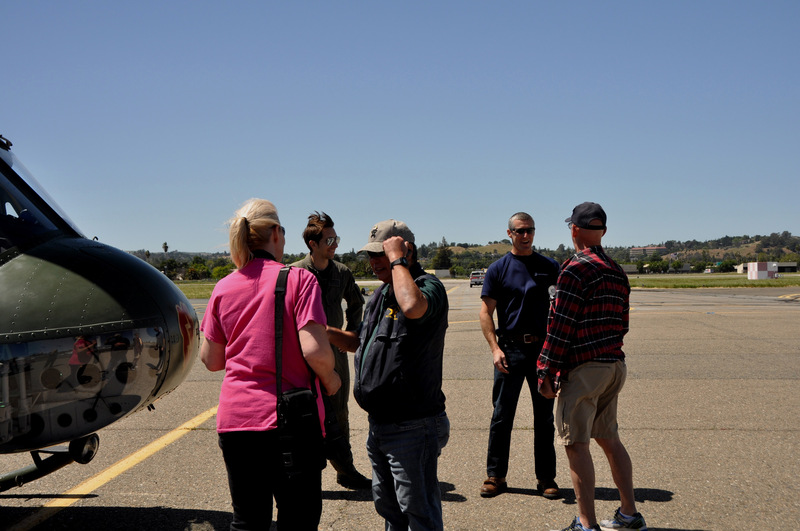 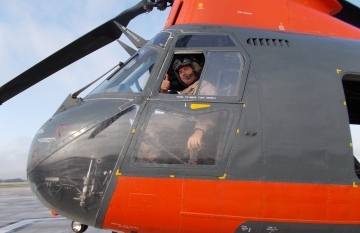 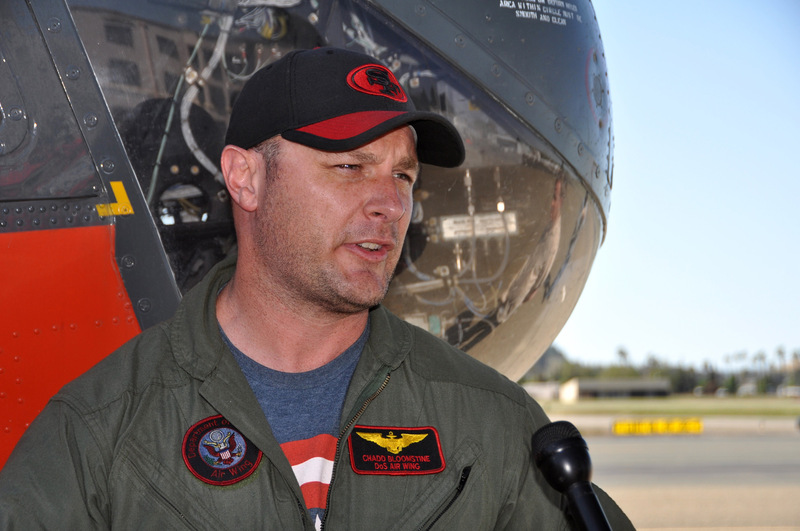 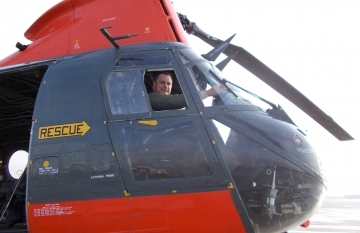 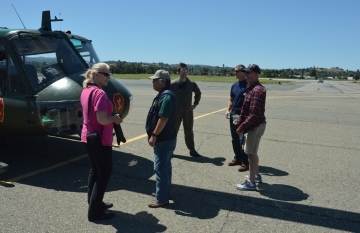 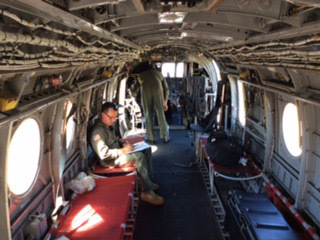 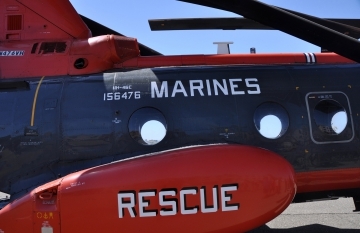 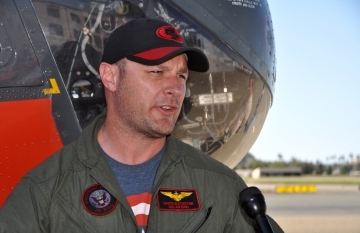 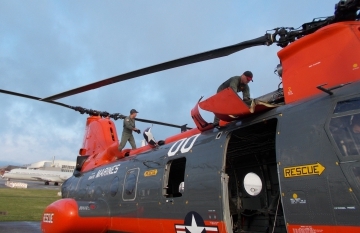 The unit performed approximately 50 life-saving missions annually—helping aviators, boaters, and lost children via medevac flights for civilians. 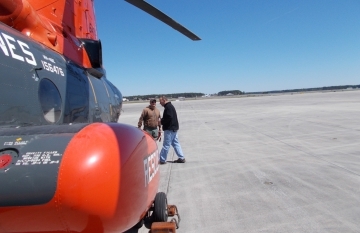 Pedro was particularly valuable in 1999 after Hurricane Floyd when the unit rescued 399 people from flooding and provided humanitarian assistance to the eastern part of the state. 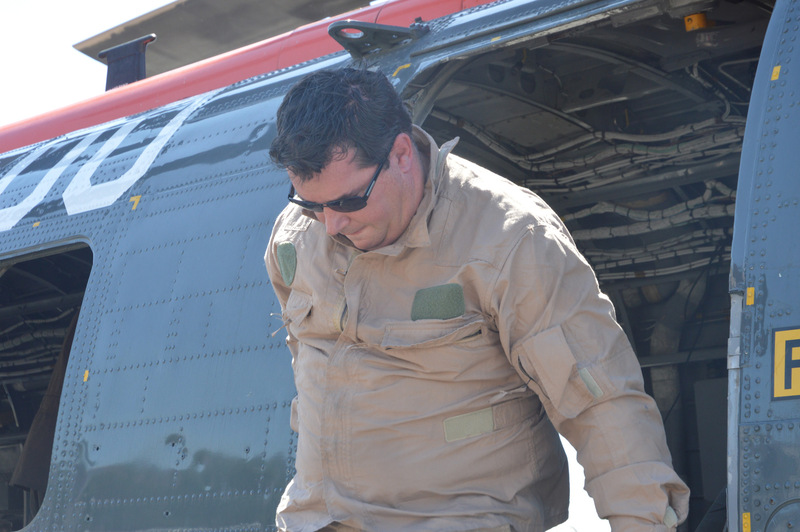 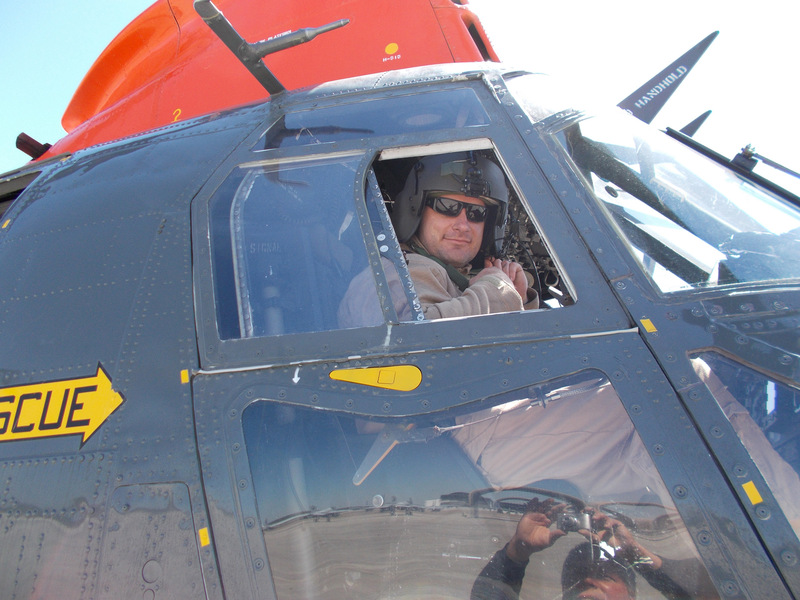 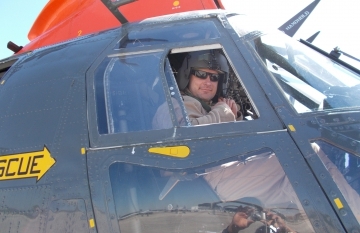 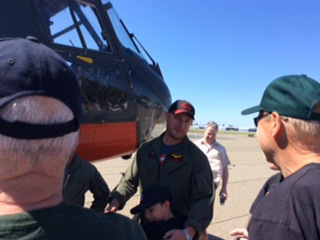 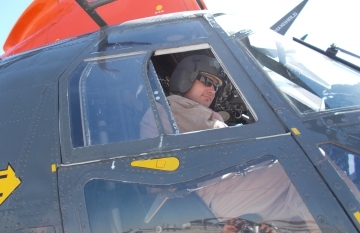 During 2014, Pedro was involved in at least 22 critical life-saving rescues that responded to civilian emergencies, including 11 missions where injured individuals were delivered to regional hospitals. 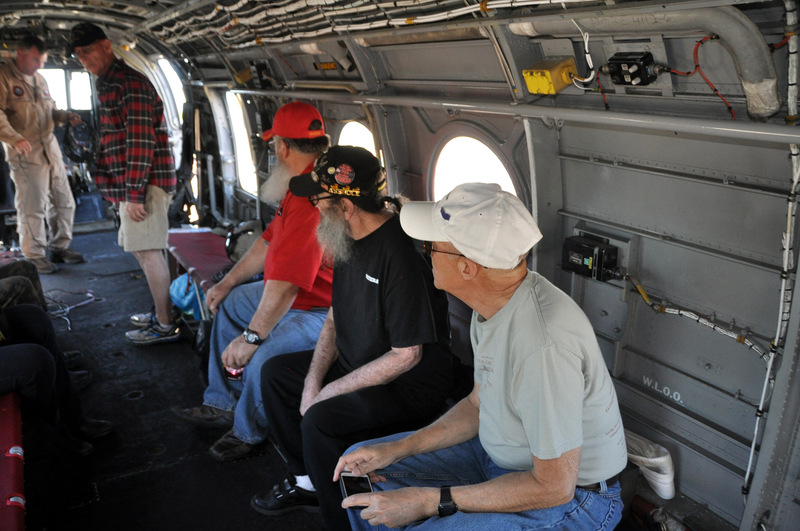 In Vietnam the CH-46 had a combat crew of five: Pilot, Copilot, Crew Chief, and two Door Gunners. 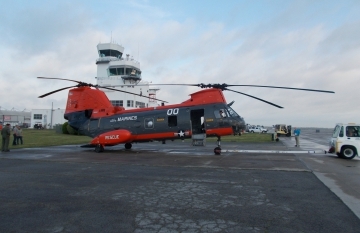 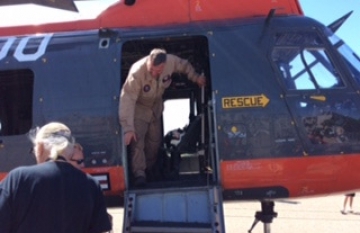 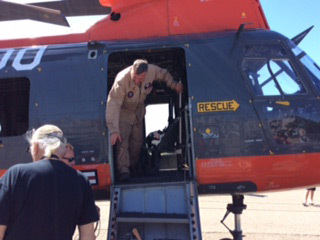 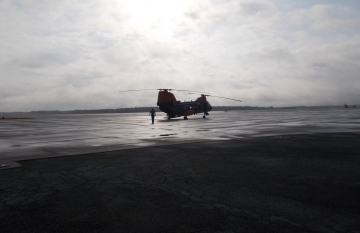 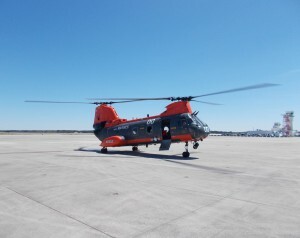 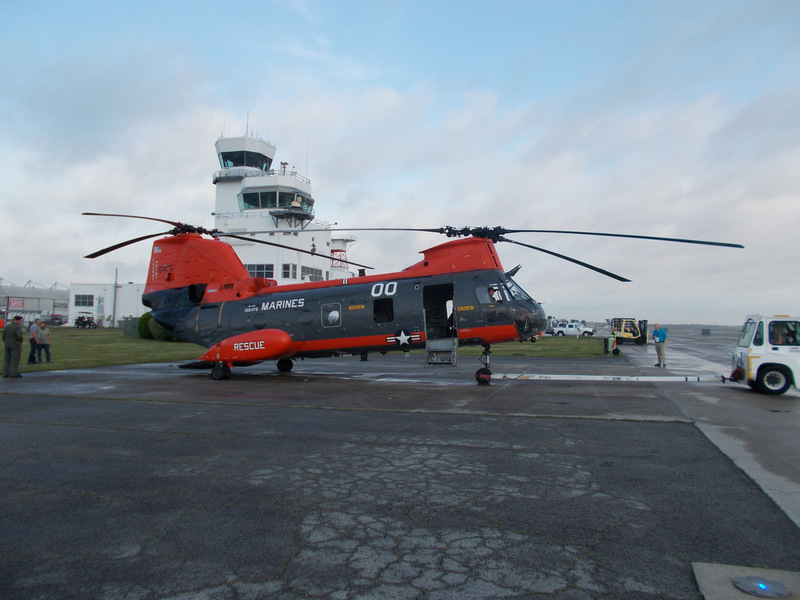 As a search and rescue helicopter the crew included a rescuer. 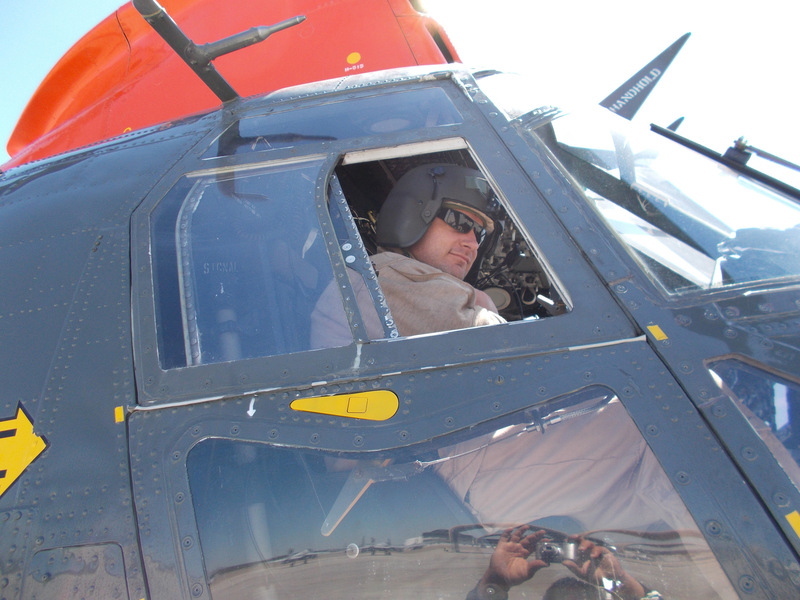 The Aircraft Commander, as his name implied, was in command of the aircraft at all times while on a mission. 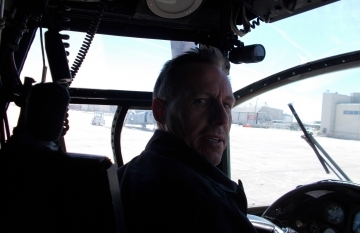 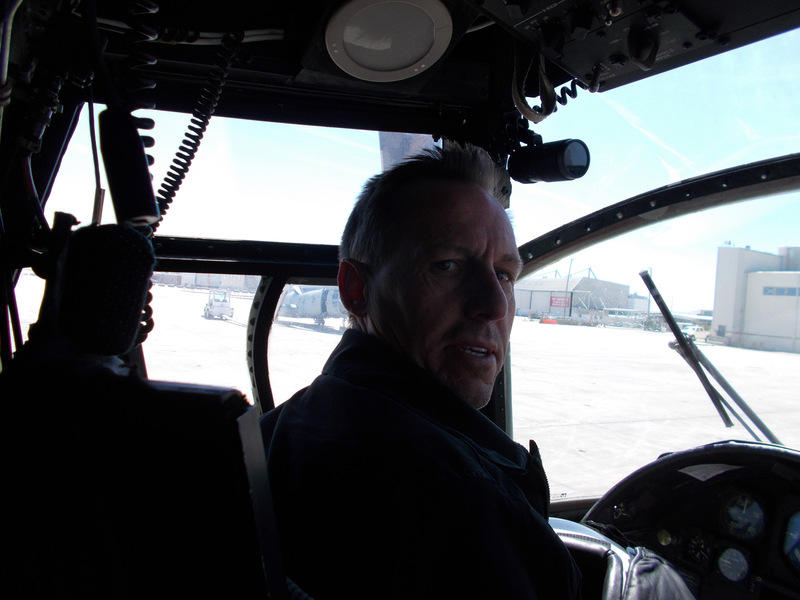 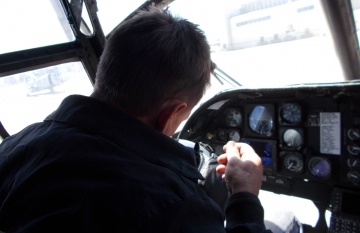 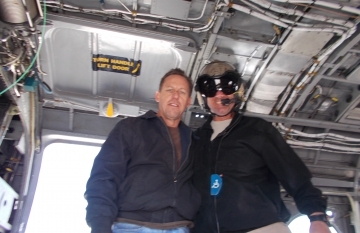 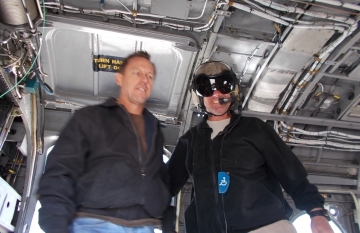 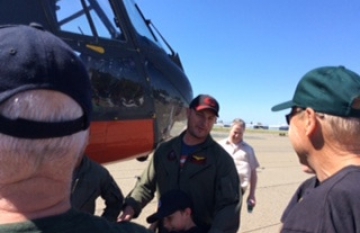 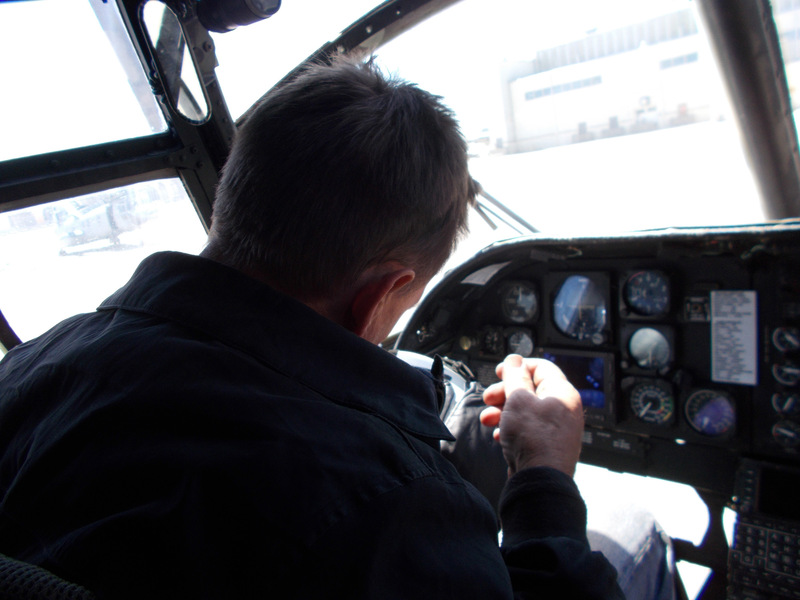 The Co-pilot assisted the Aircraft Commander in the air and flew the aircraft as needed. 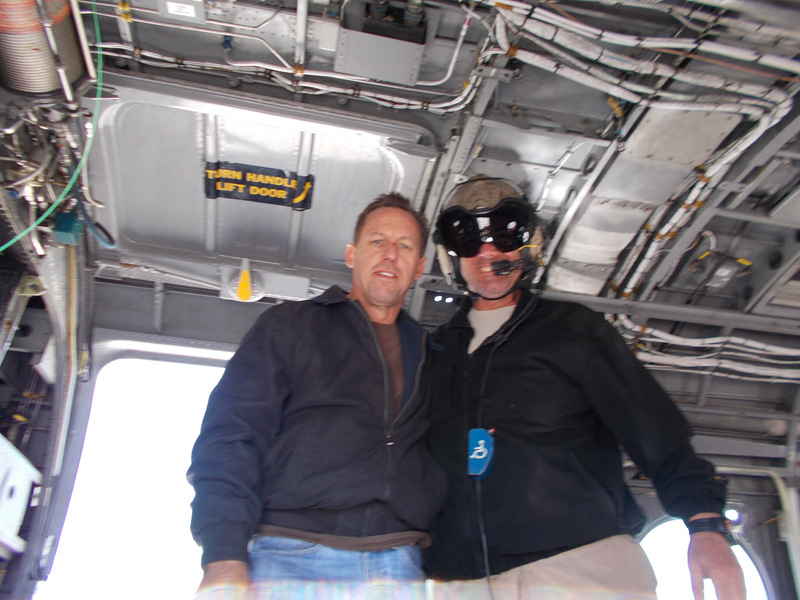 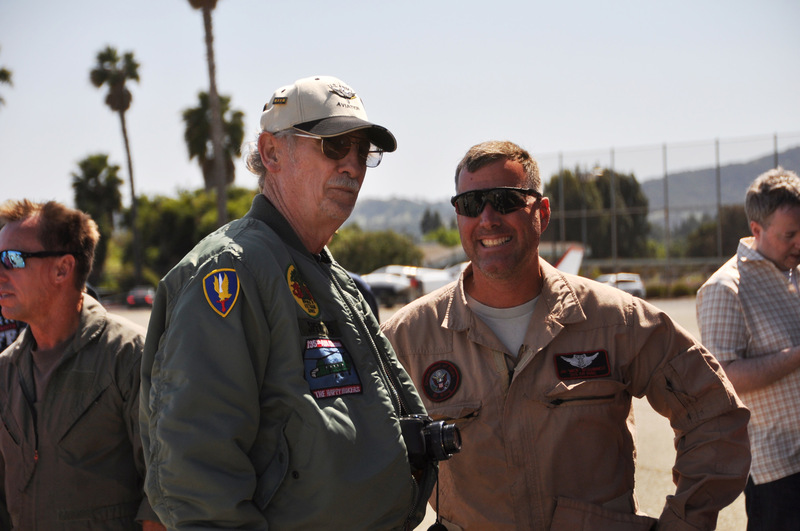 Most pilots began their tour in Vietnam as a Co-pilot and advanced to Aircraft Commander as they gained experience. 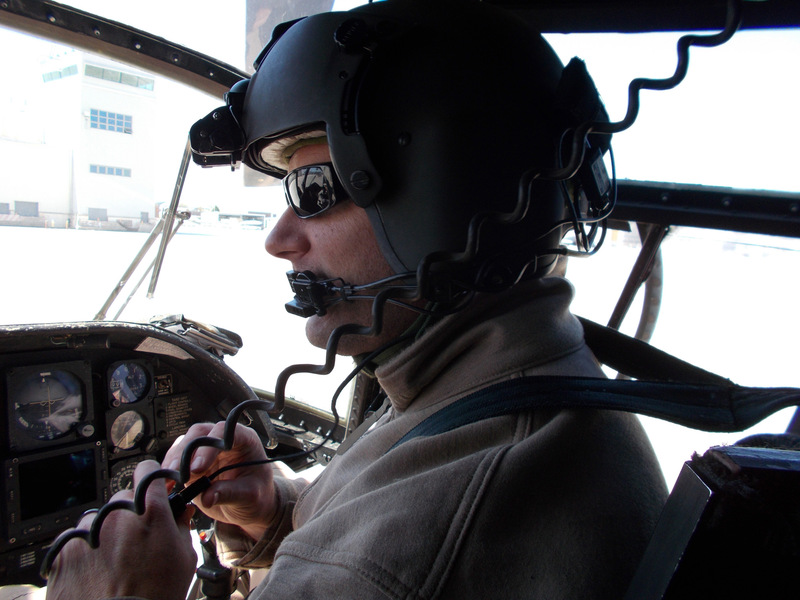 In many units, the Aircraft Commander and Crew Chief were assigned a specific aircraft and Co-pilots generally rotated among unit aircraft. 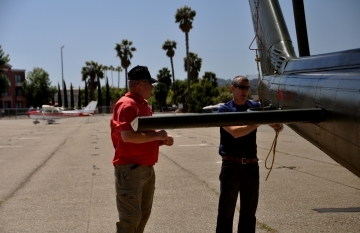 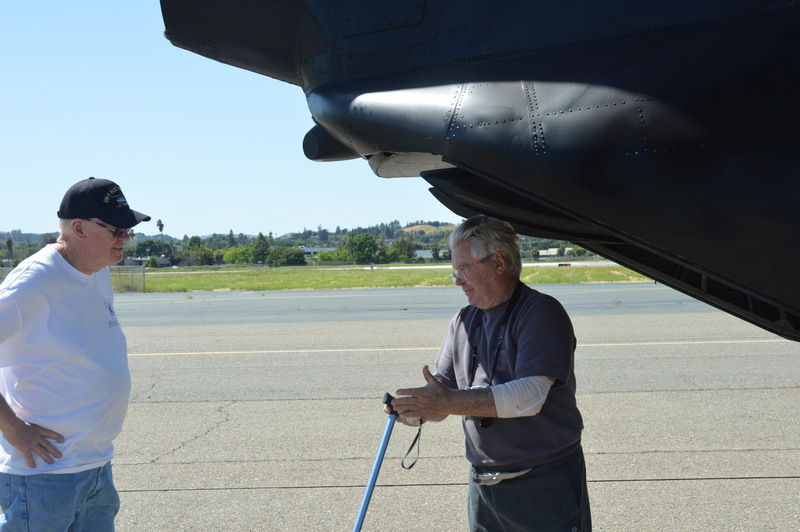 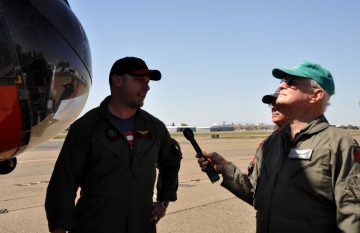 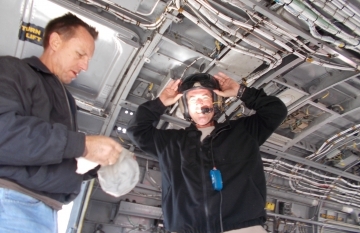 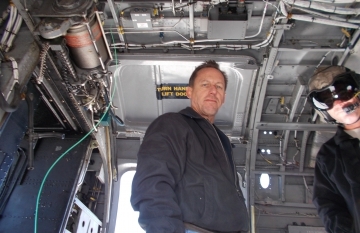 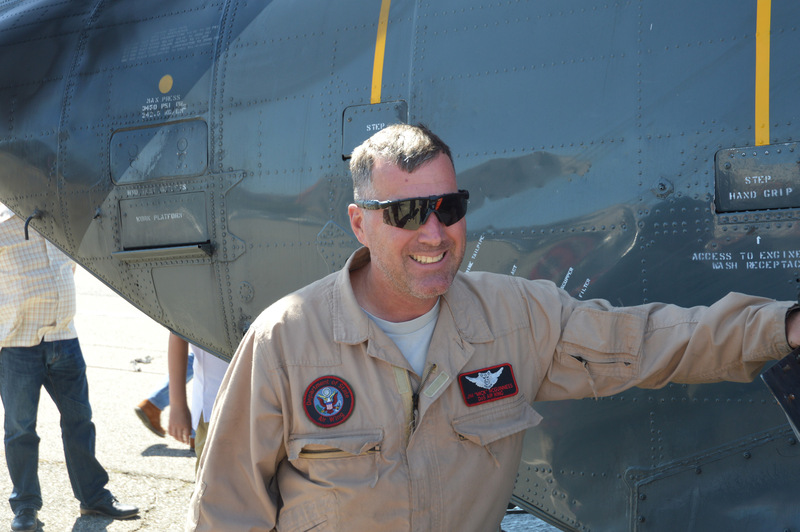 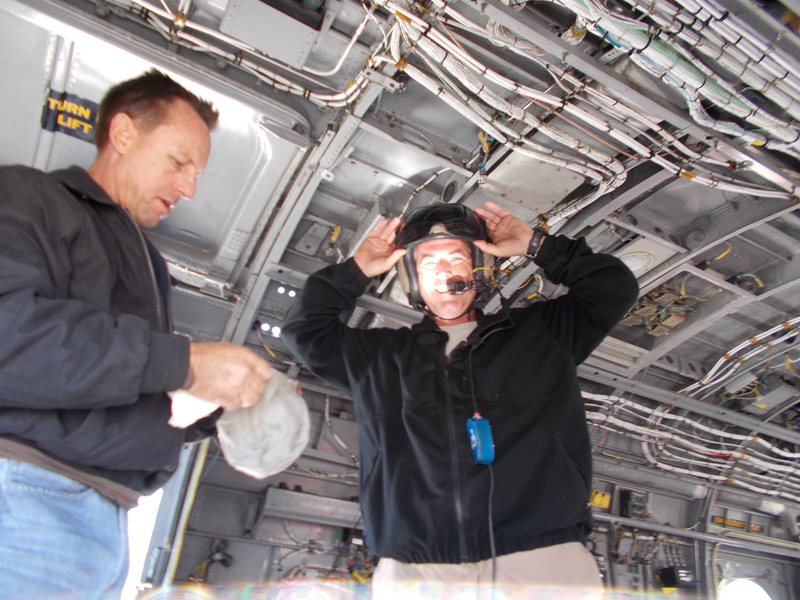 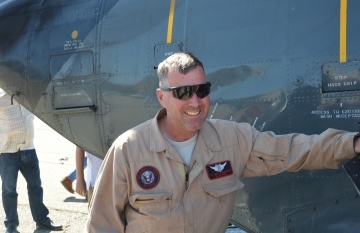 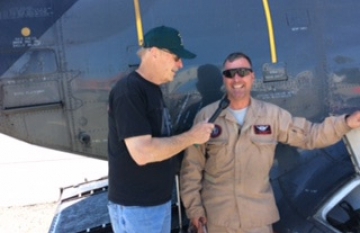 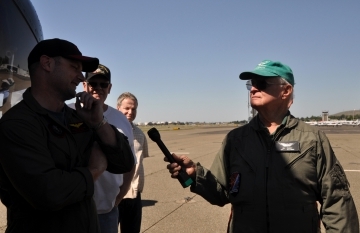 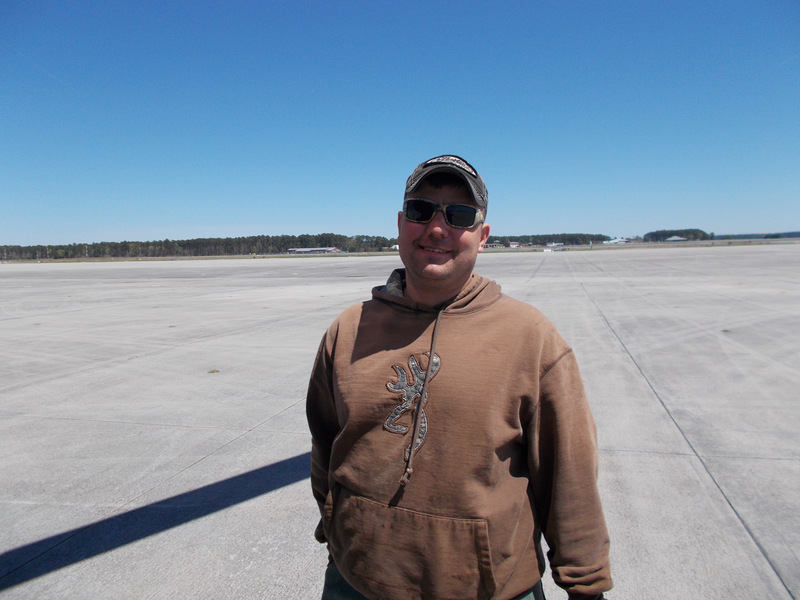 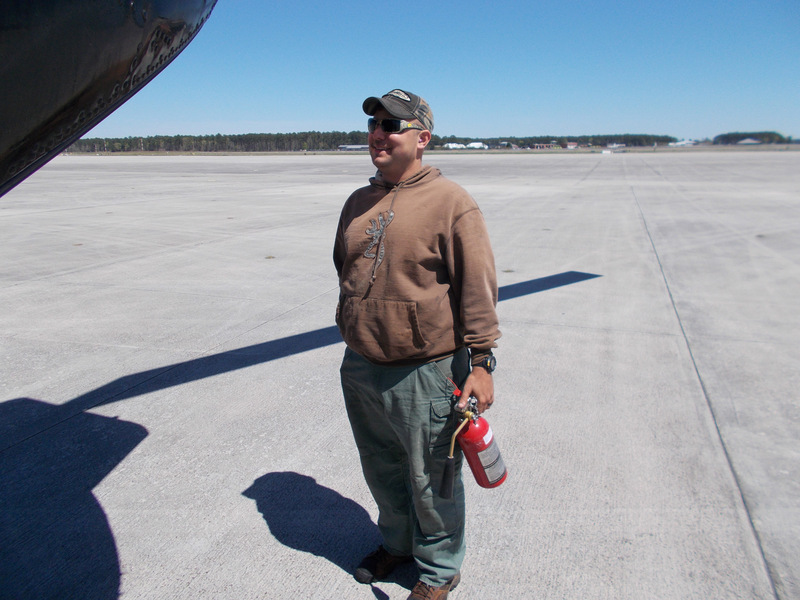 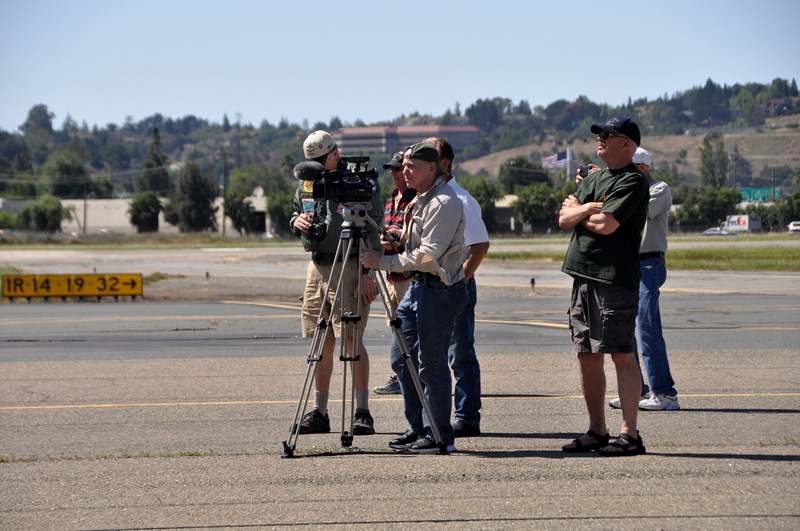 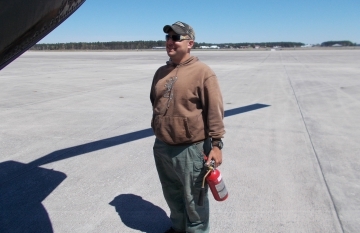 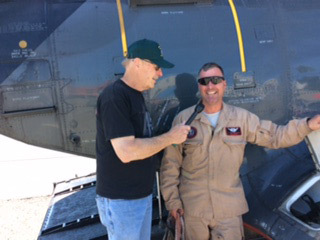 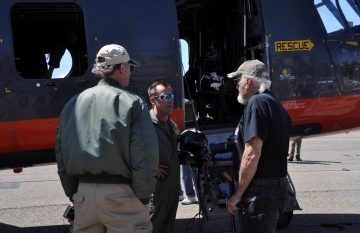 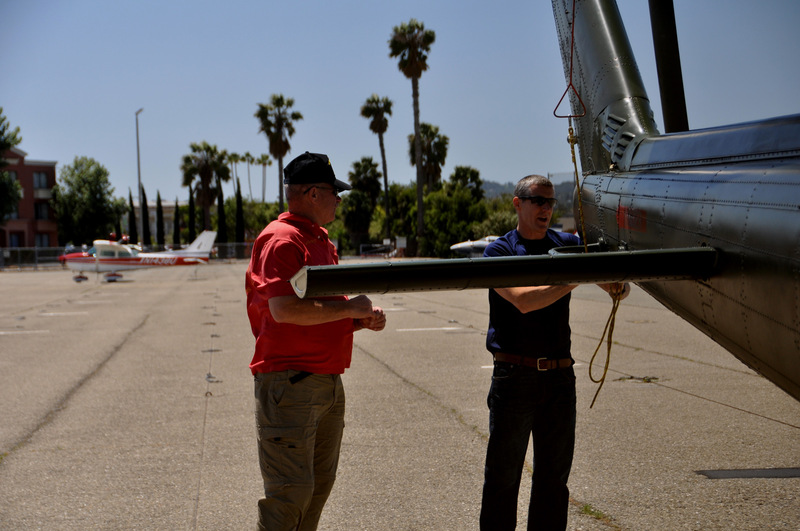 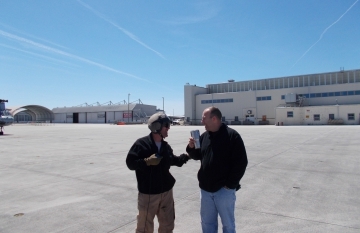 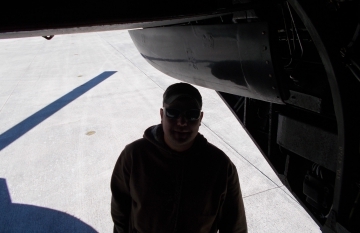 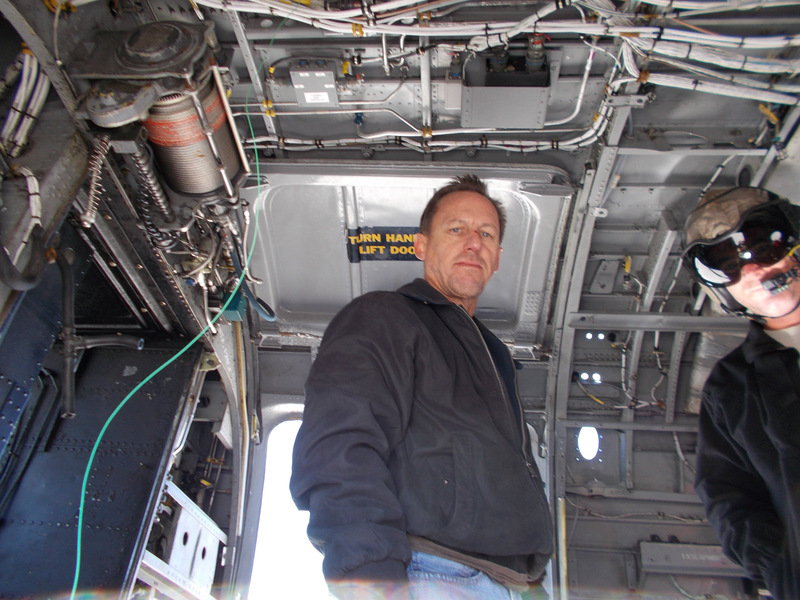 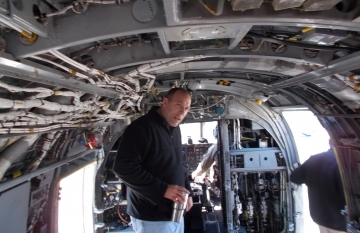 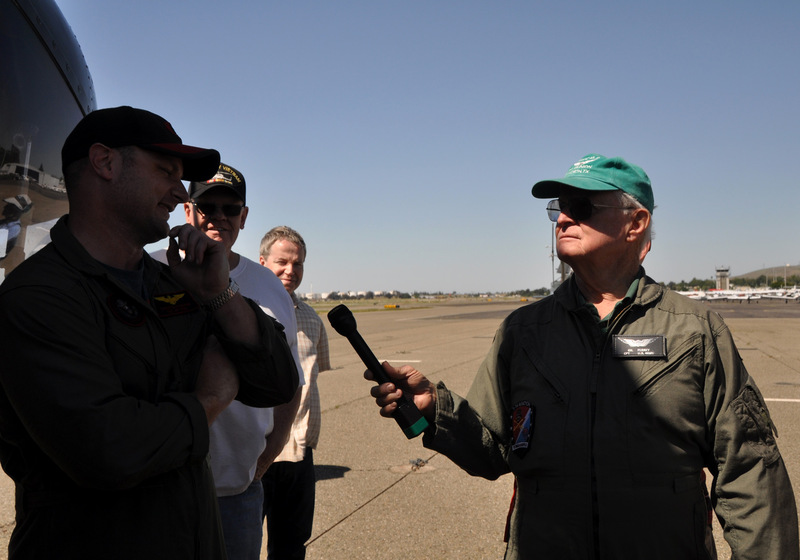 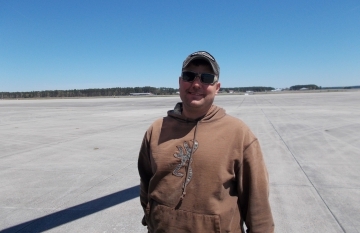 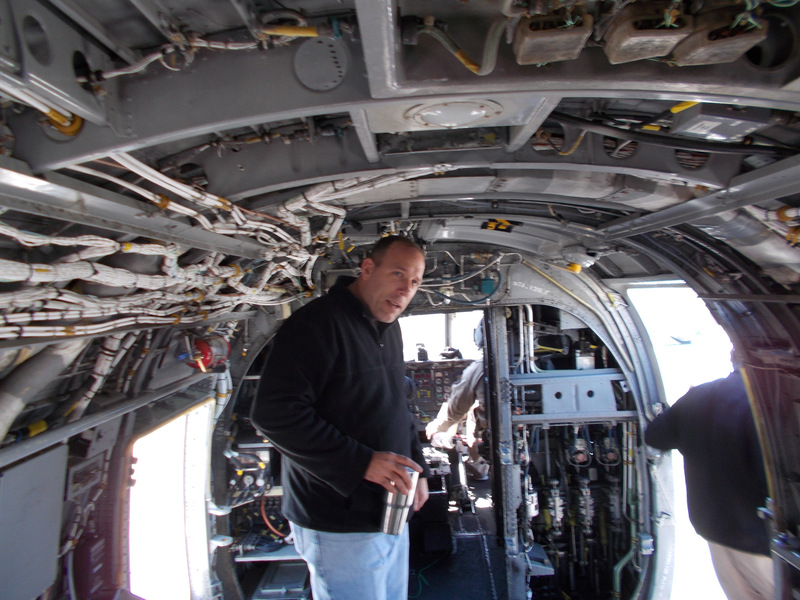 In addition, the Crew Chief was the only crewmember personally responsible for maintaining his aircraft. 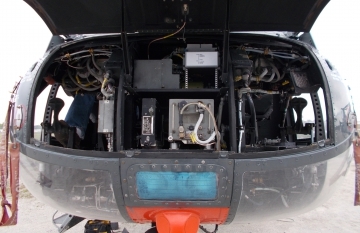 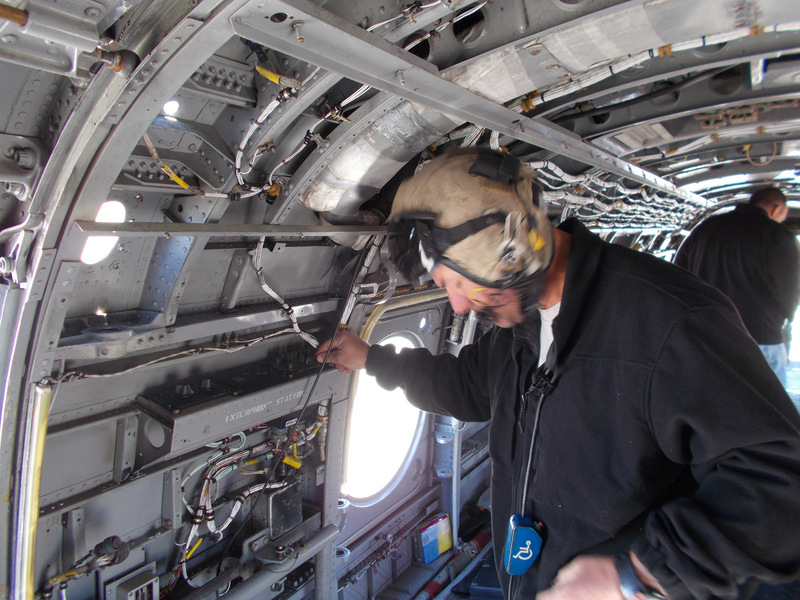 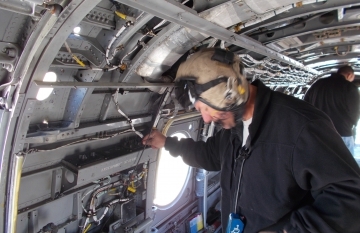 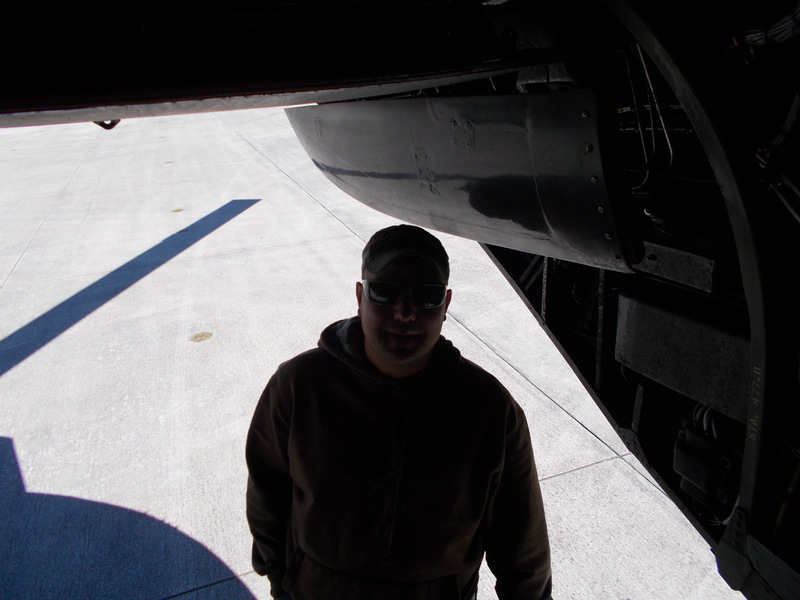 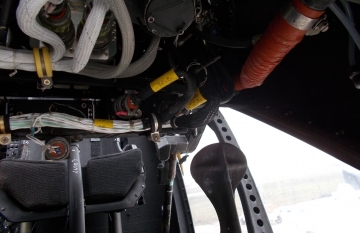 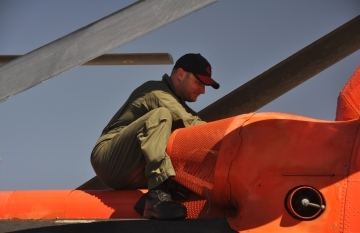 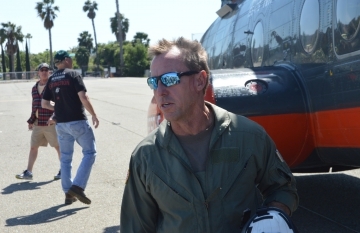 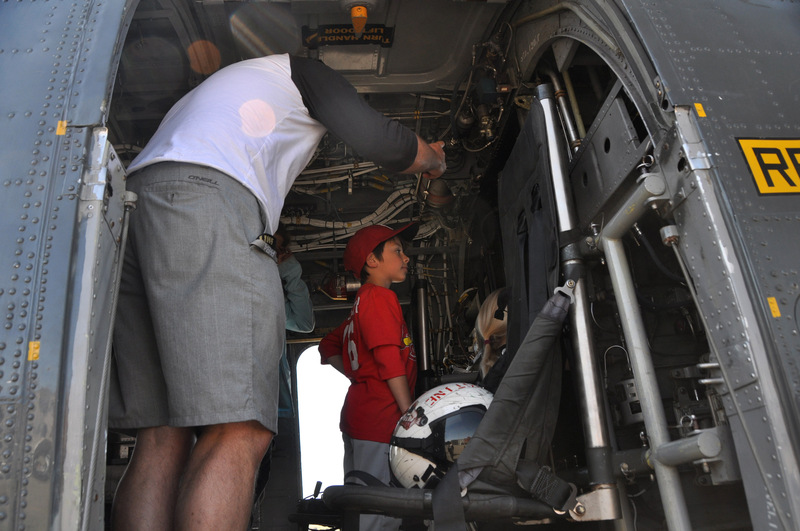 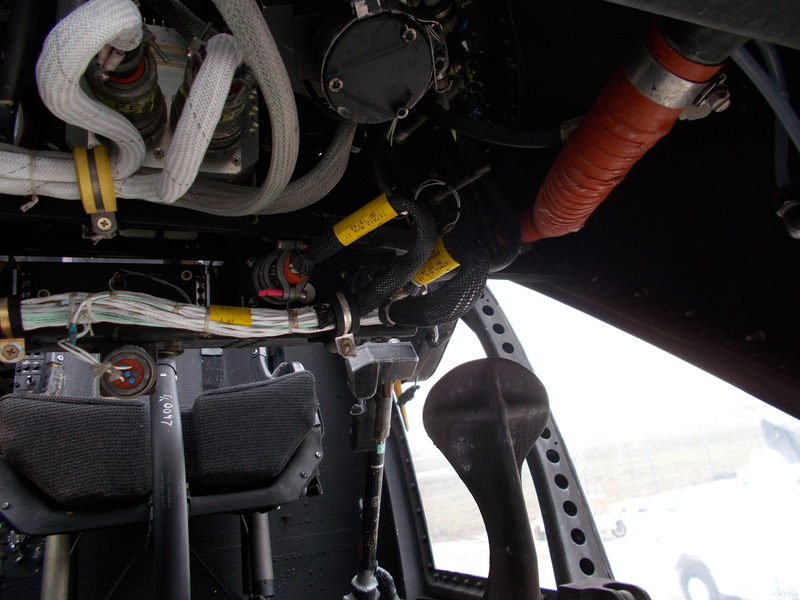 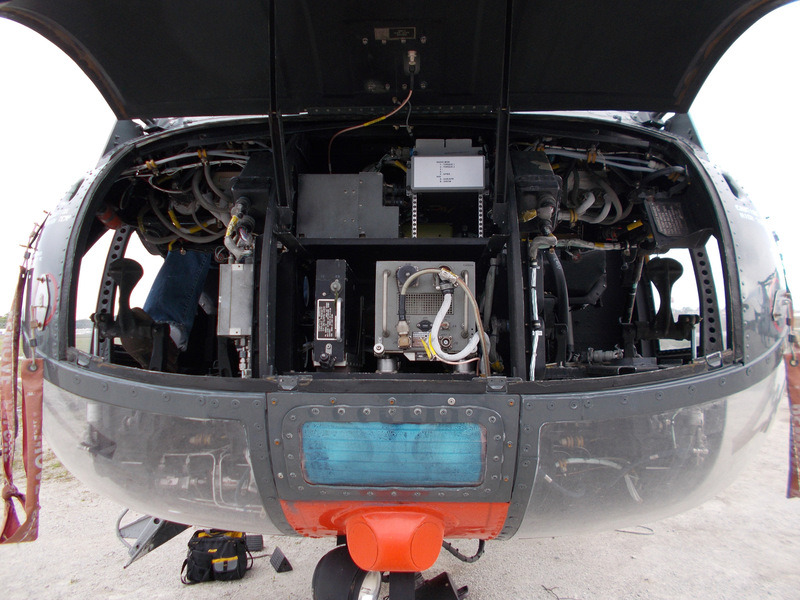 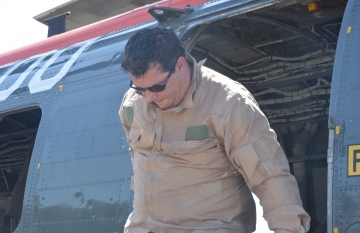 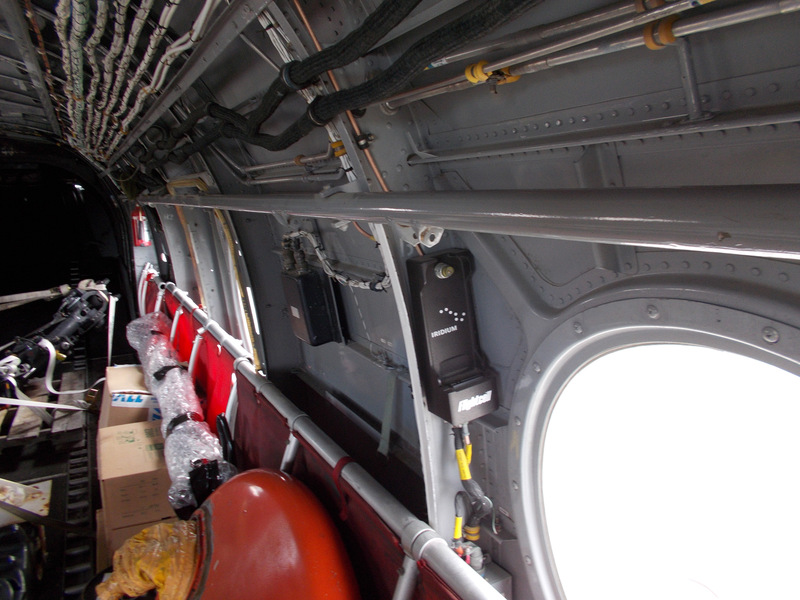 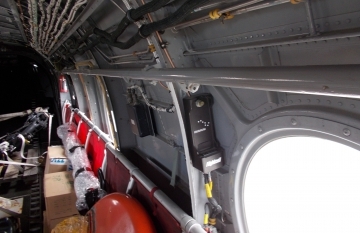 The Crew Chief and his Door Gunners would work many hours before and after each mission maintaining their helicopter. 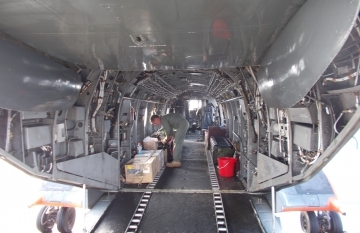 Besides aiding the Crew Chief on the ground, the Door Gunners also assisted in loading and unloading the aircraft and manned the right door gun positions while flying. 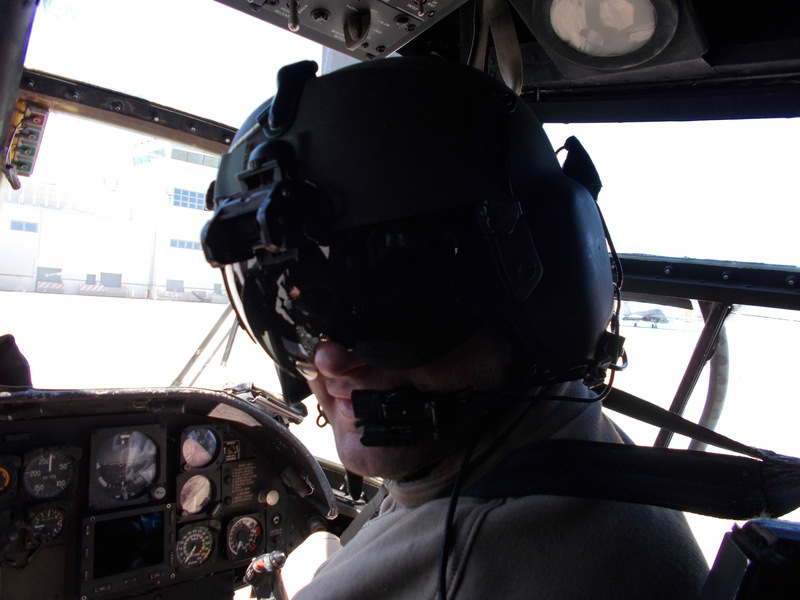 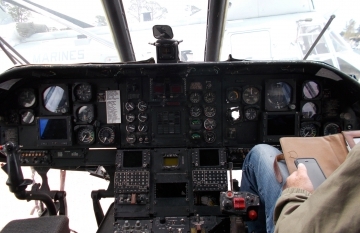 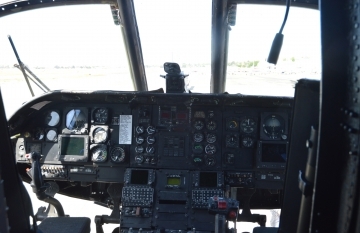 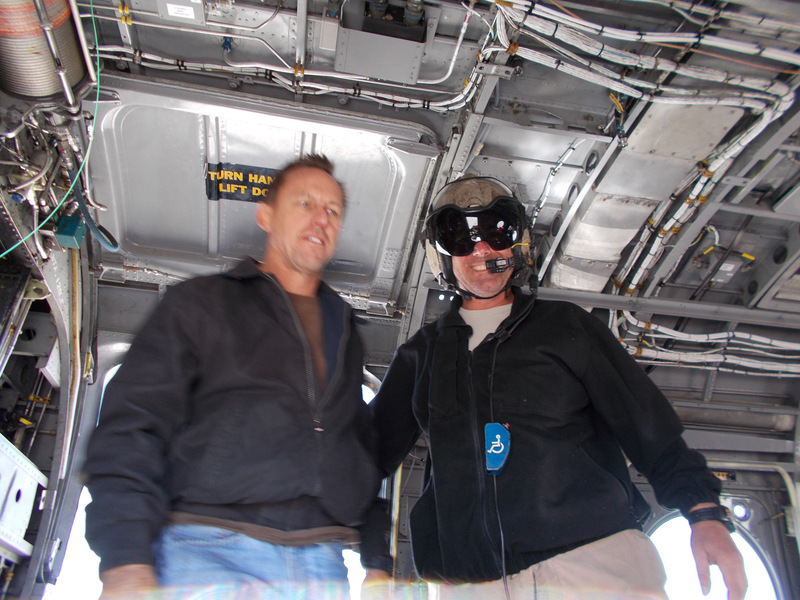 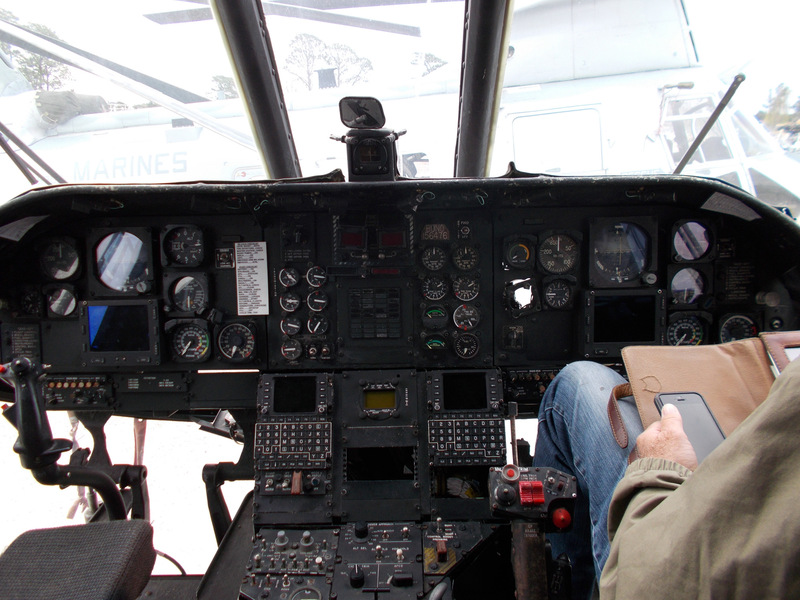 As with the Co-pilots, they usually rotated among unit aircraft. CH-46s transported combat troops, evacuated wounded, supplied forward arming and refueling points (FARP), performed vertical replenishment, search and rescue, recovered downed aircraft and crews and other tasks.